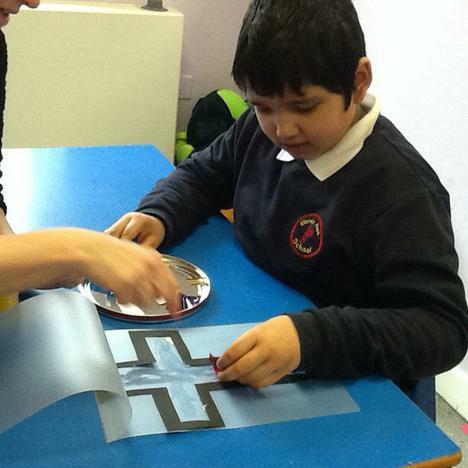 This term in RE we have been learning about Christianity. 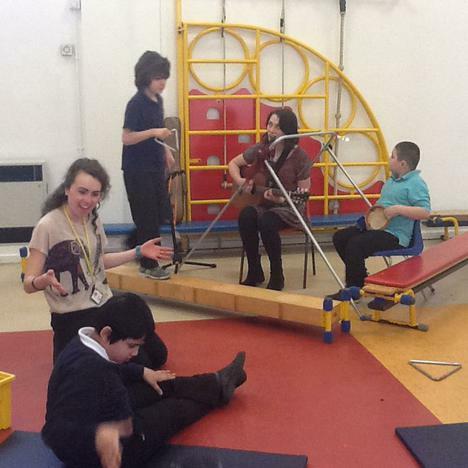 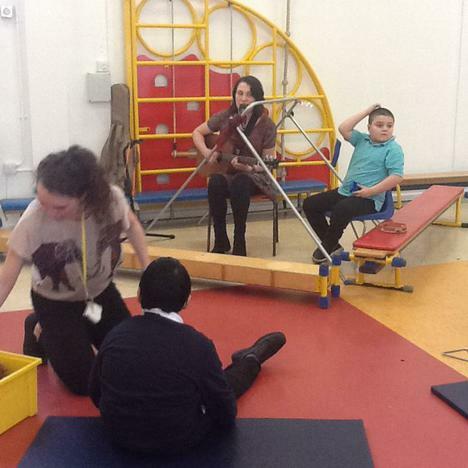 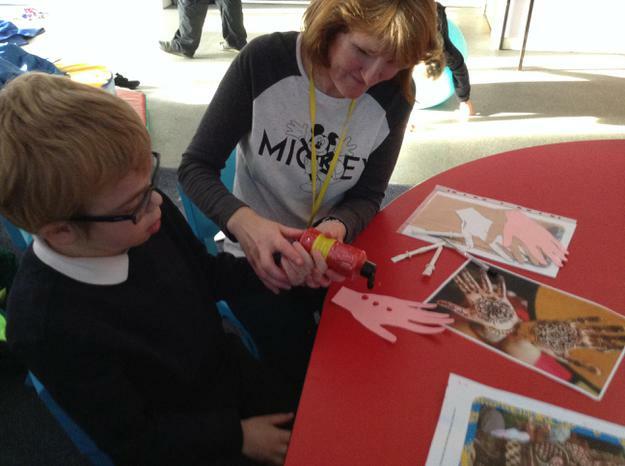 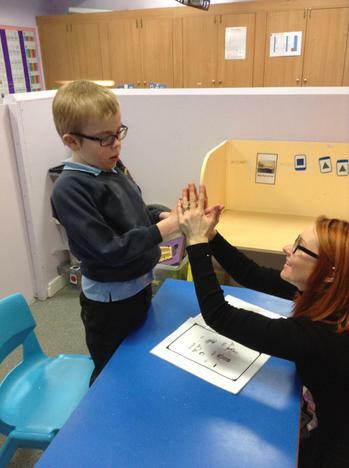 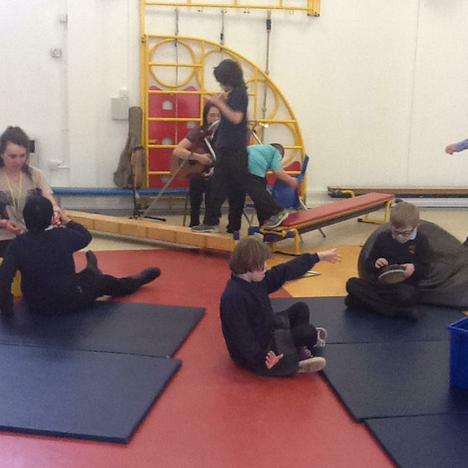 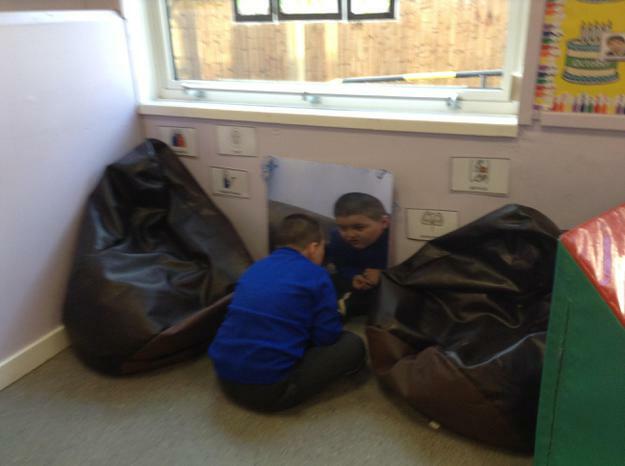 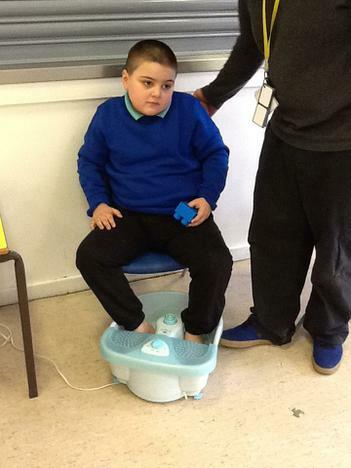 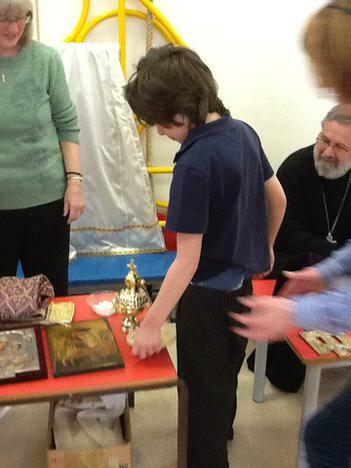 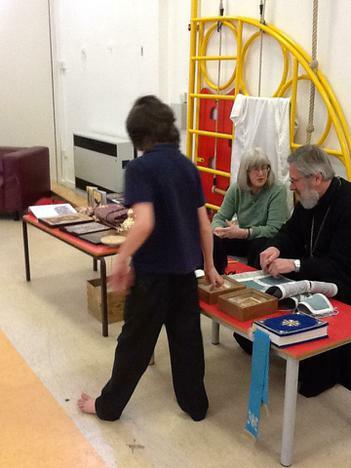 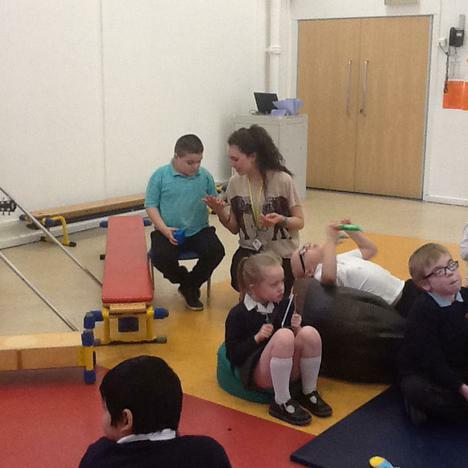 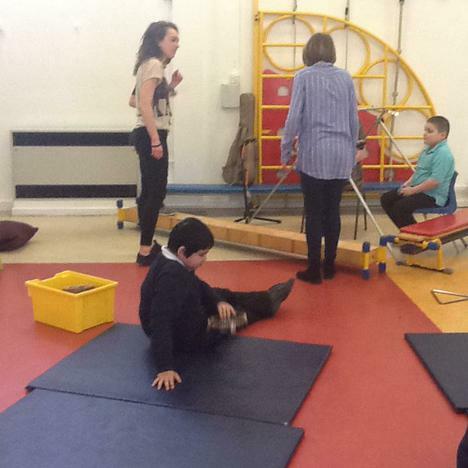 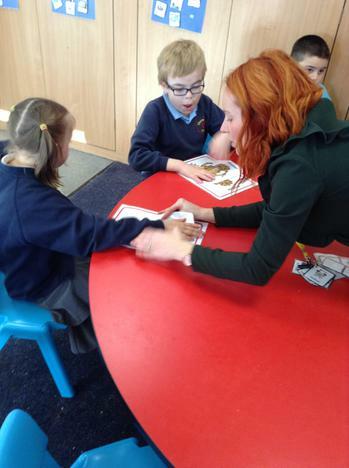 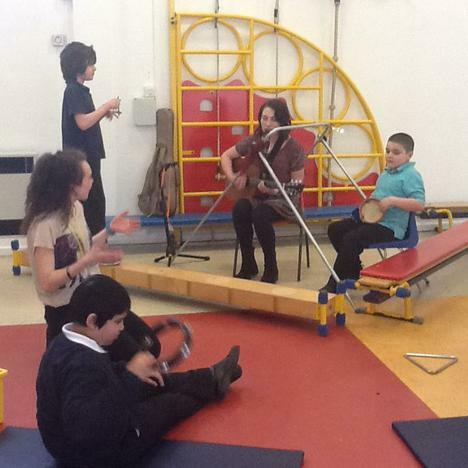 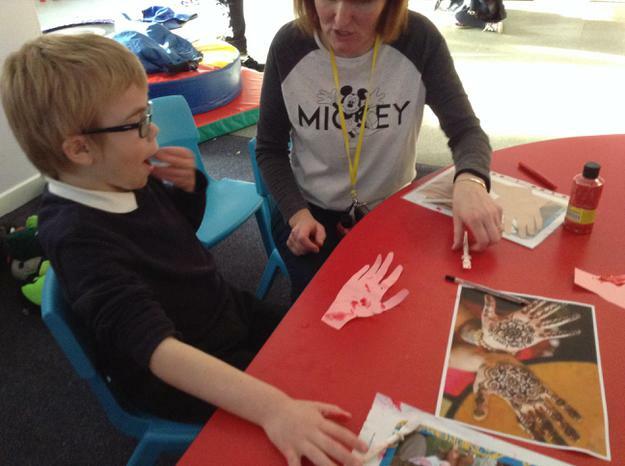 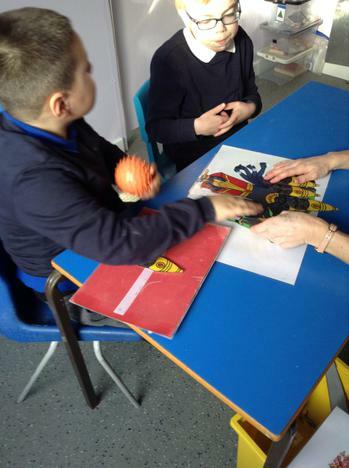 We joined in with the whole school worship day in March which involved us visiting lots of different prayer stations in the hall and meeting some special people from the Church. 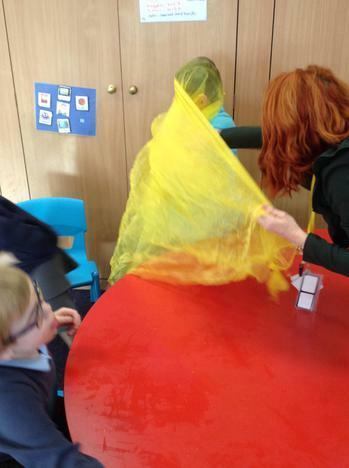 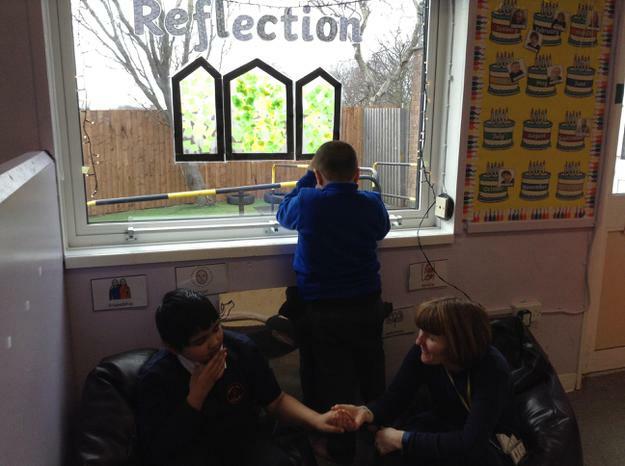 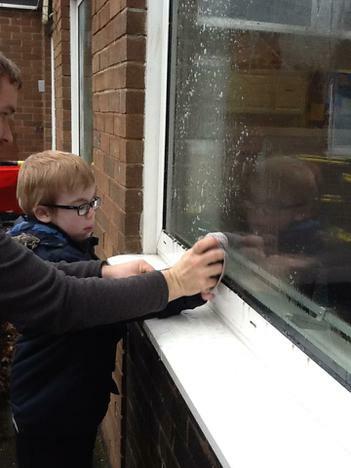 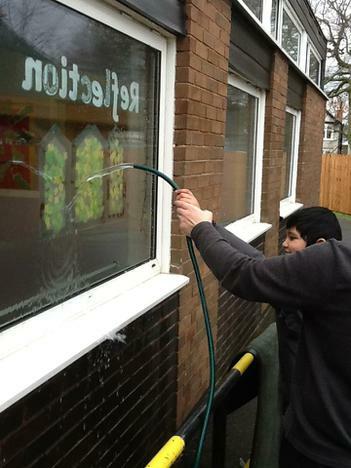 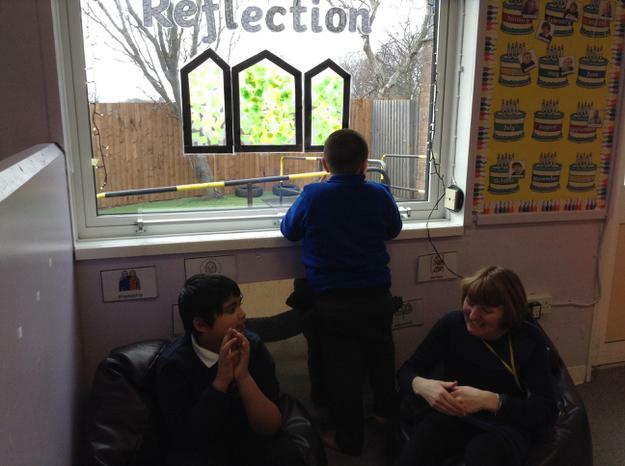 We also completed an act of worship for someone else, we cleaned wellies for another class and we helped to clean the windows in our class. 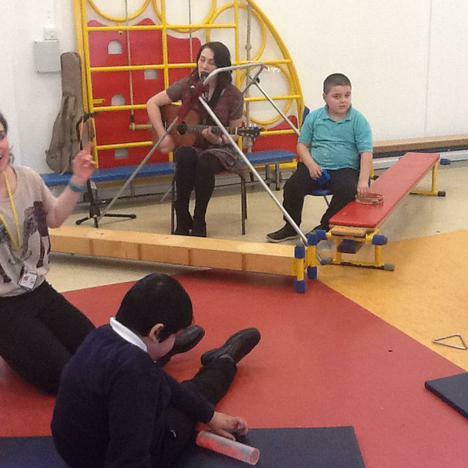 We also enjoyed some live Christian music. 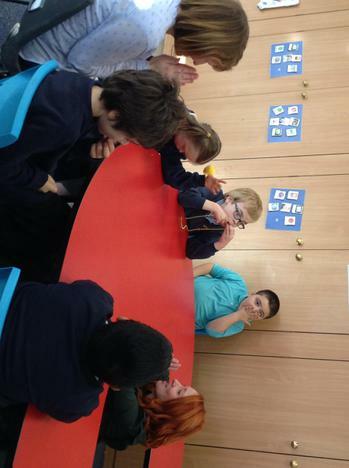 We also learnt about the true meaning of Easter during our RE week. 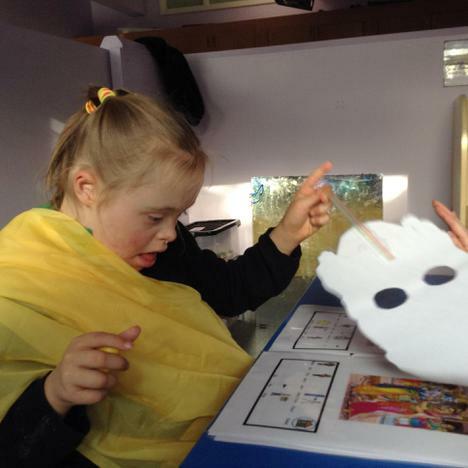 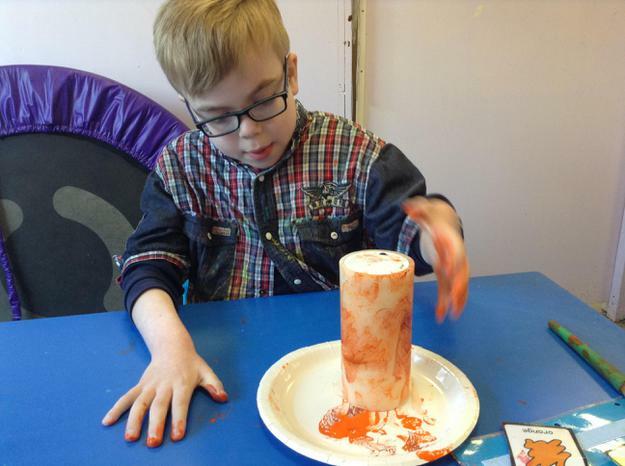 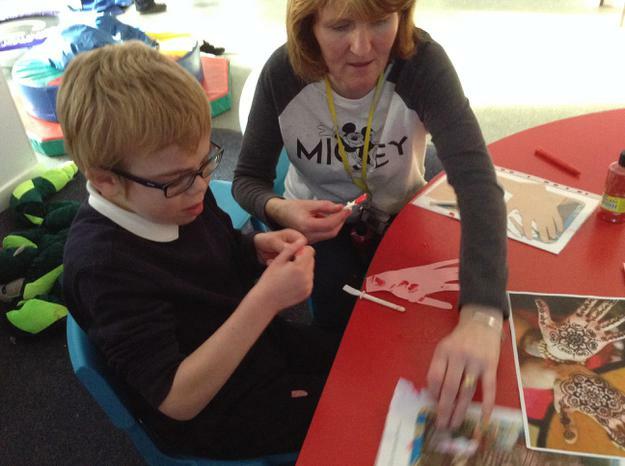 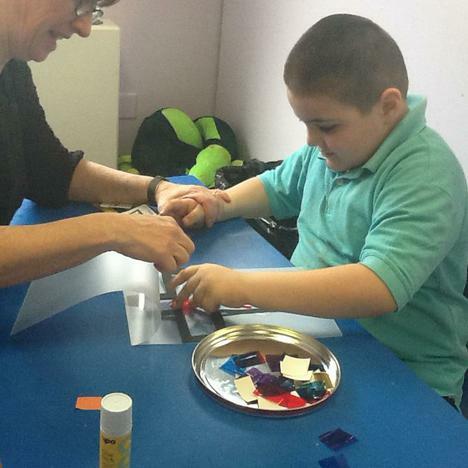 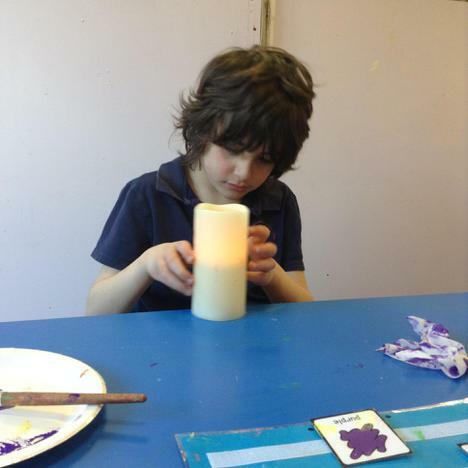 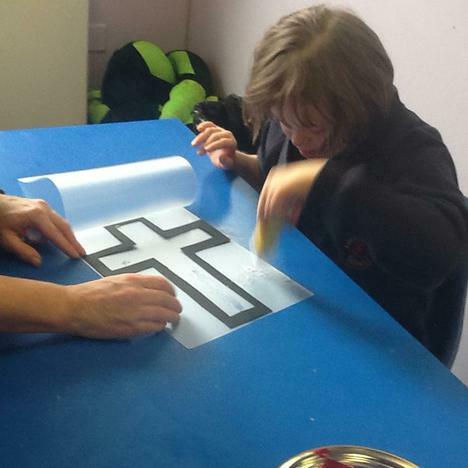 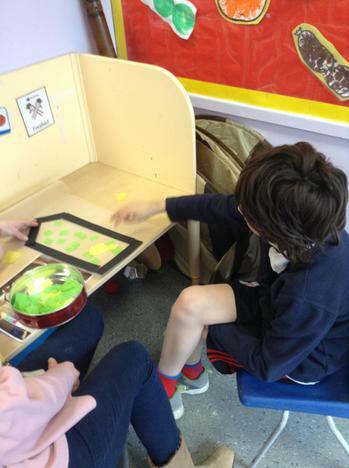 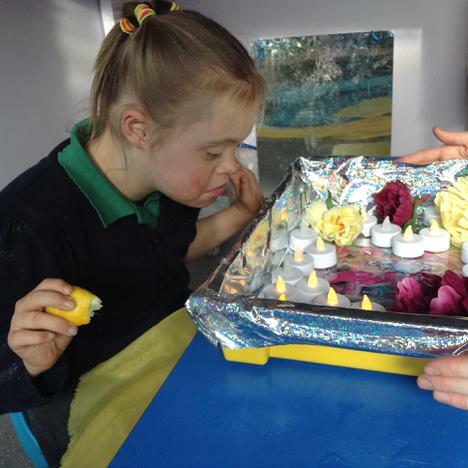 We explored things that we look forward to using symbols, made cross pictures using tissue paper, listened to happy and sad Christian music during our music session, made resurrection pictures using paint and glitter and we decorated candles to go in our special reflection area in class. 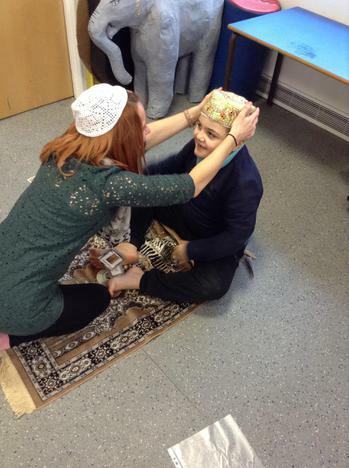 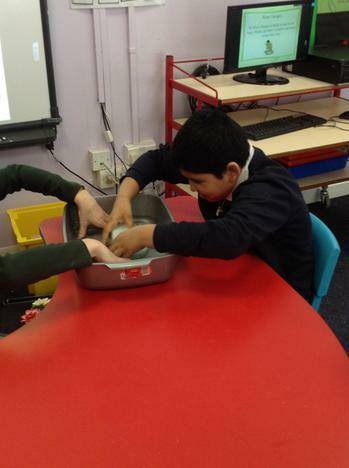 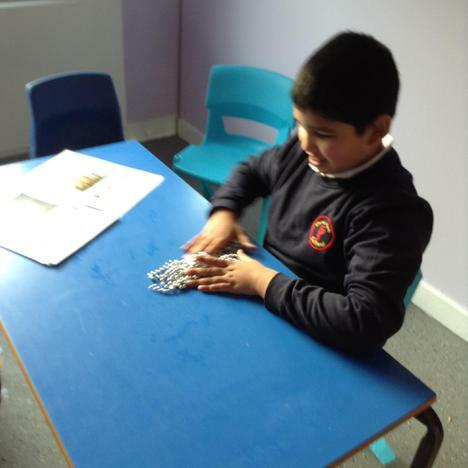 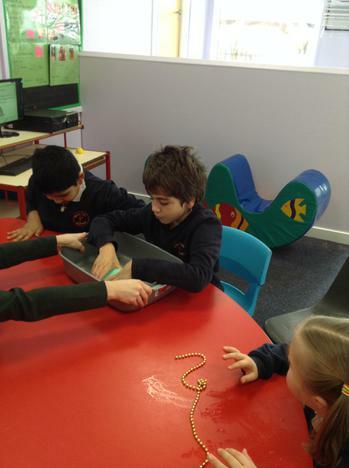 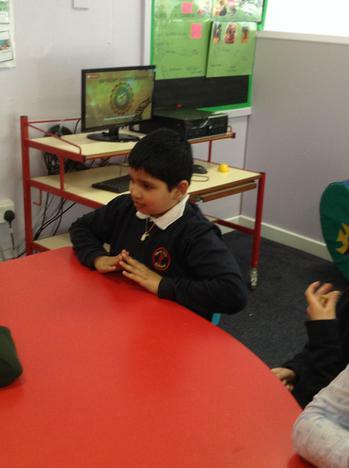 This term in RE we have been learning about the Islamic faith. 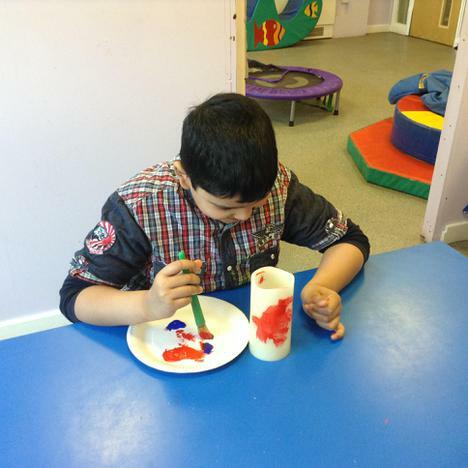 The children have been learning about the core values of the faith in ways that make sense to them, for example during a lesson about the importance of the '5 pillars of Islam', the children made their own '5 pillars' using pictures of things and people that are special to them. 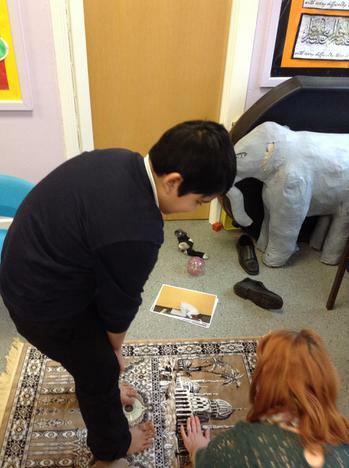 Wherever possible, we also try to make connections with the faith and the children's lives, for example during a lesson about the Muslim festival of Eid, we also looked at and discussed photographs of the children at a party to reinforce the idea that people and communities come together during special times. 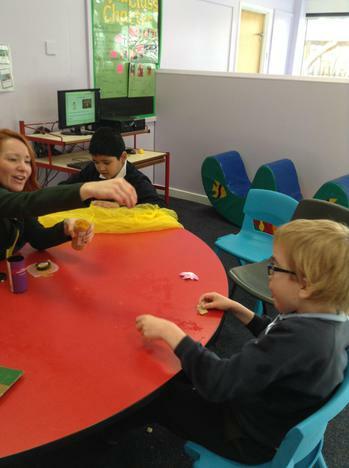 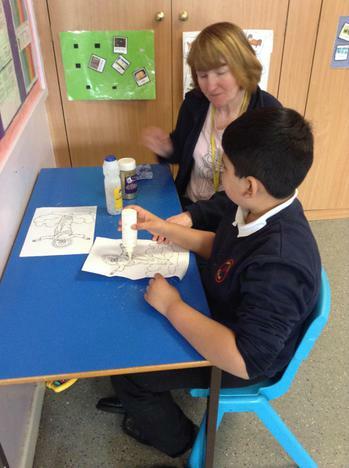 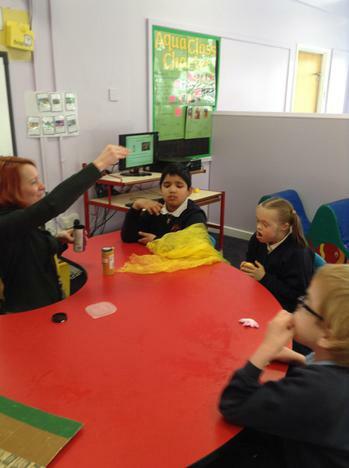 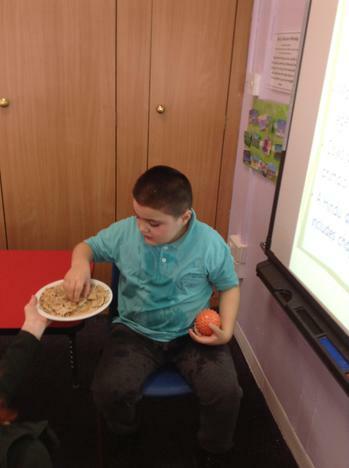 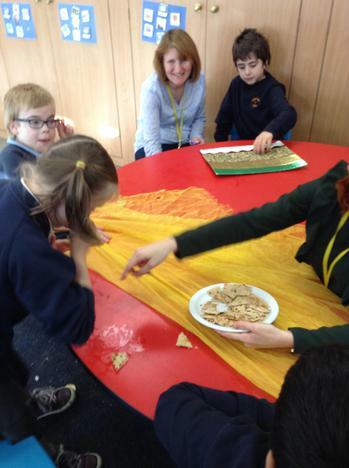 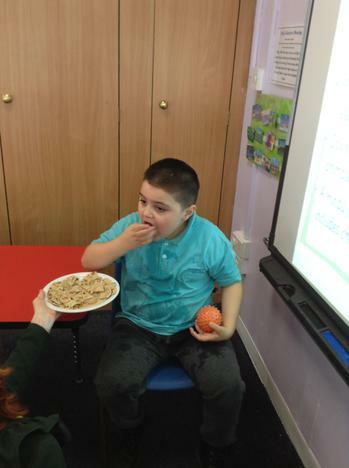 Our RE lessons have also included making traditional Eid dishes such as Mango lassi and coconut biscuits. 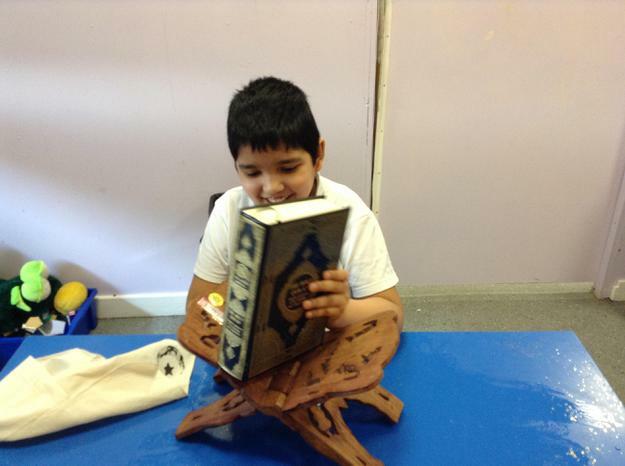 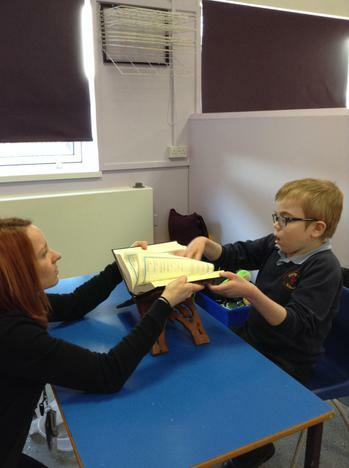 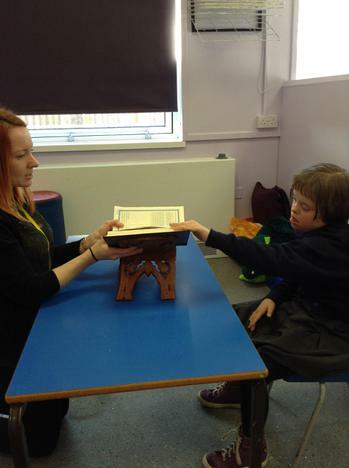 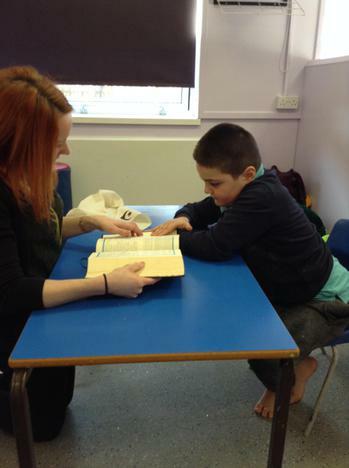 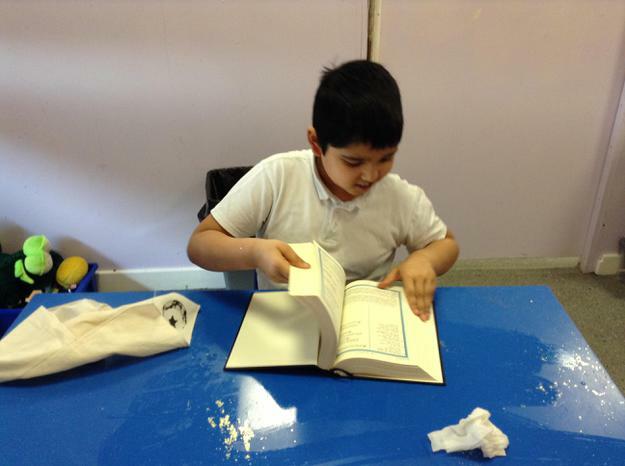 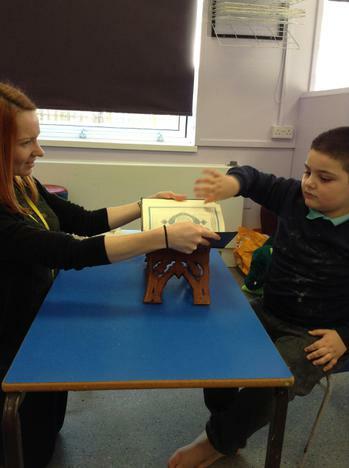 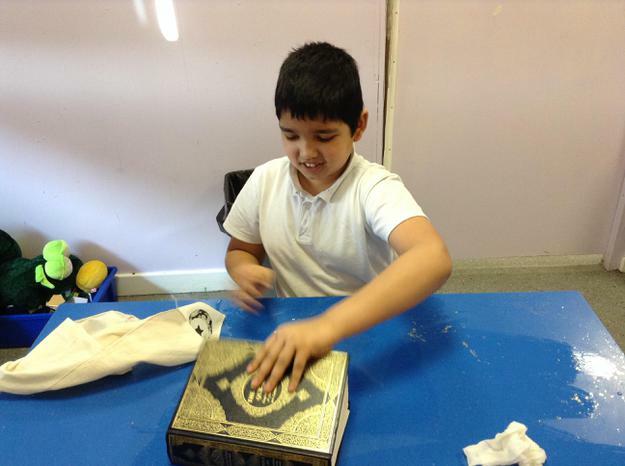 We have also explored the Qu'ran and talked about special books. 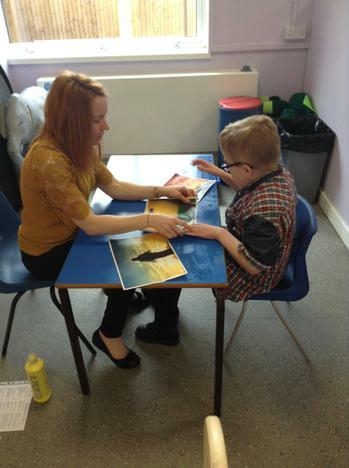 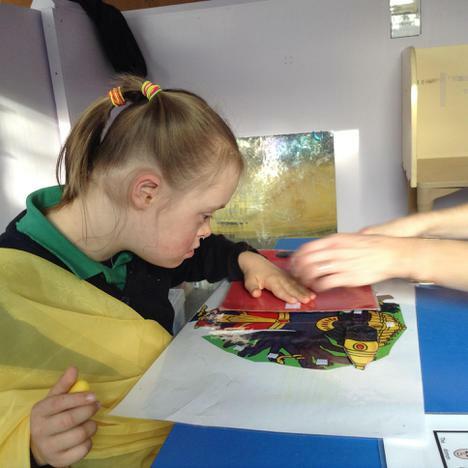 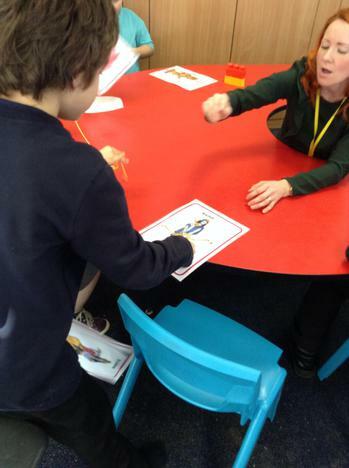 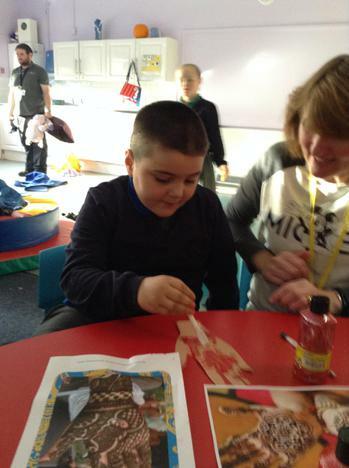 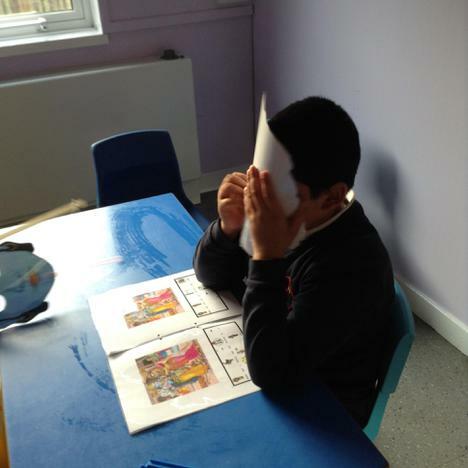 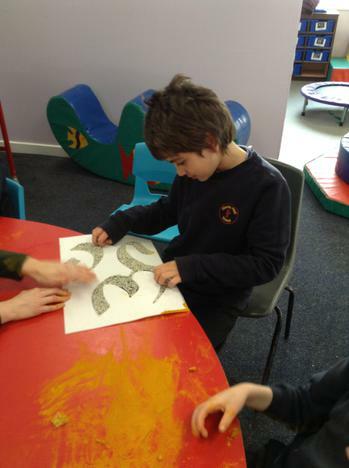 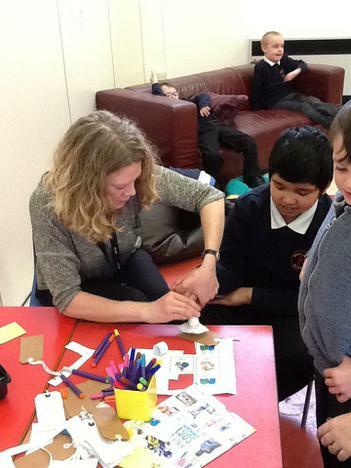 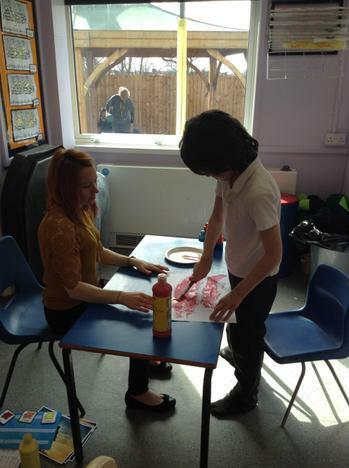 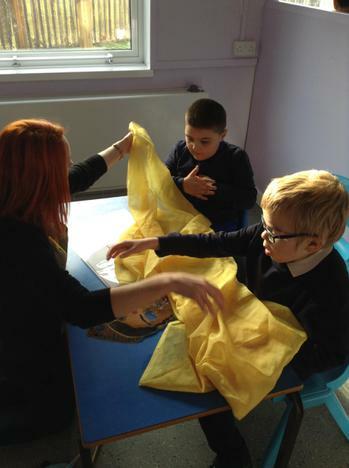 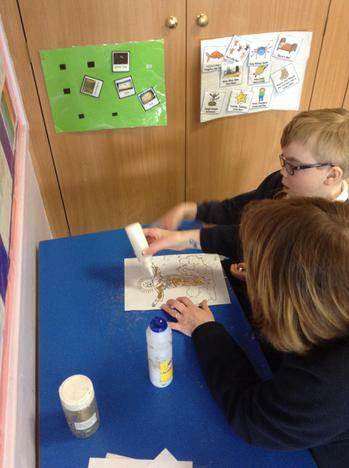 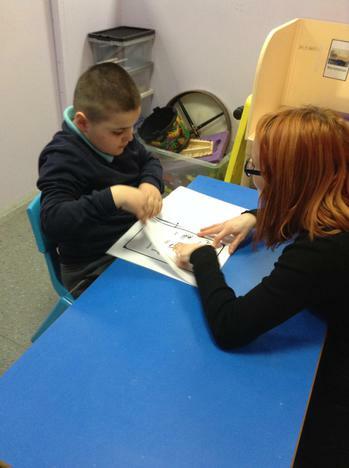 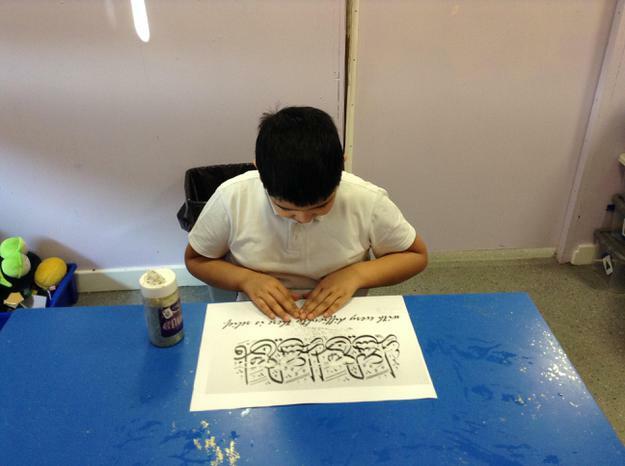 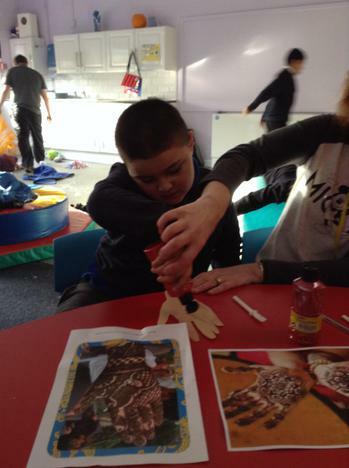 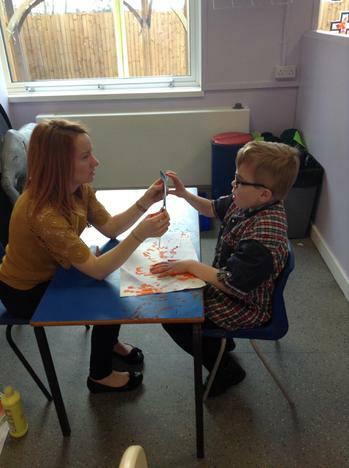 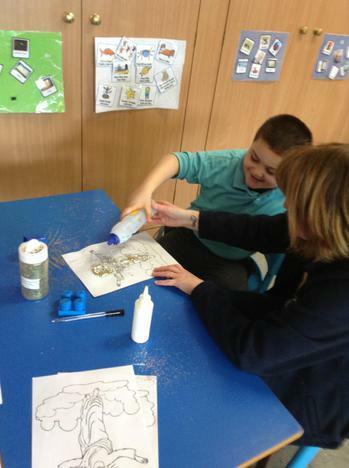 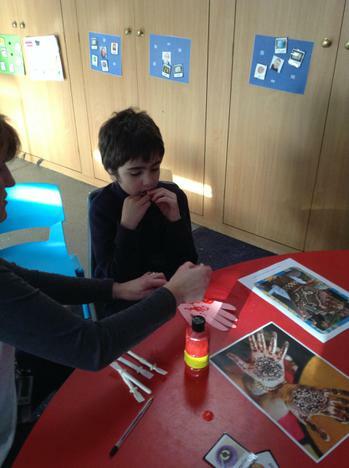 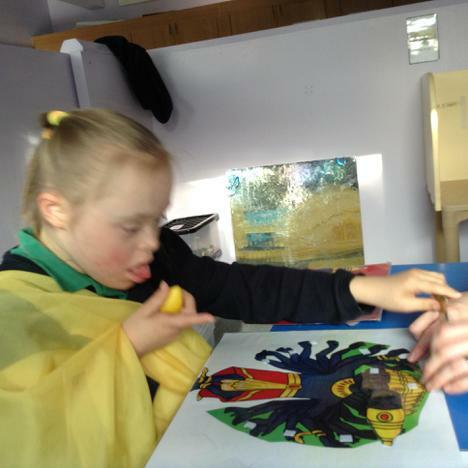 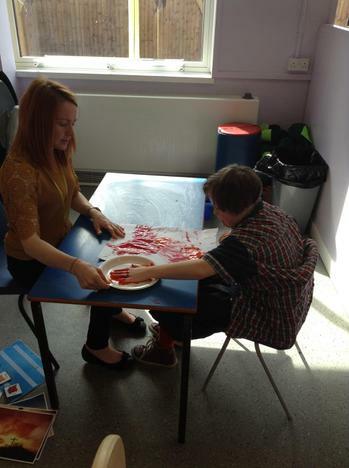 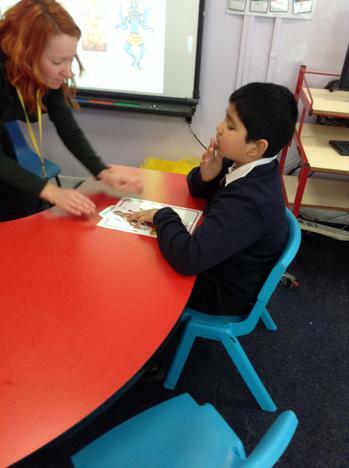 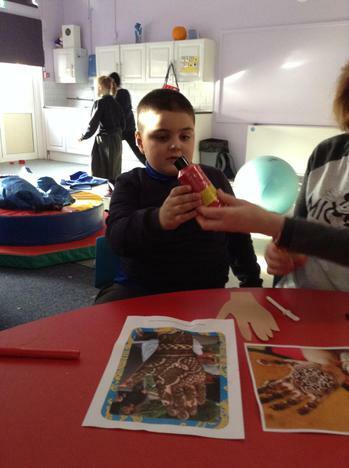 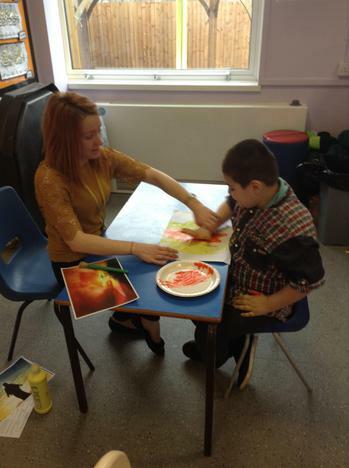 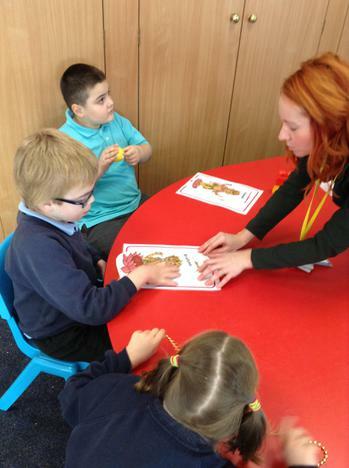 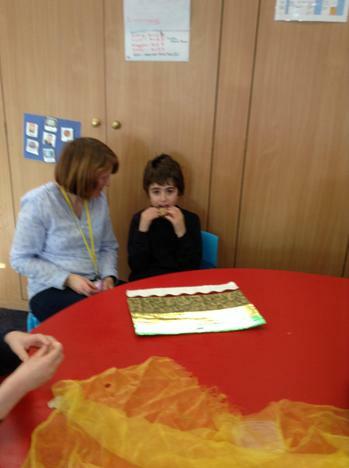 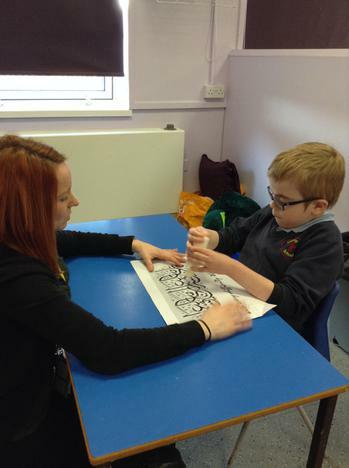 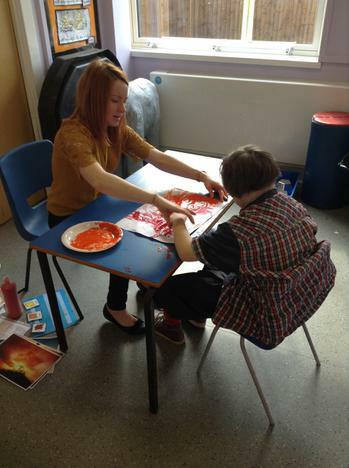 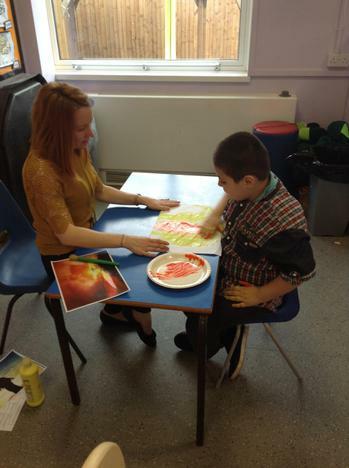 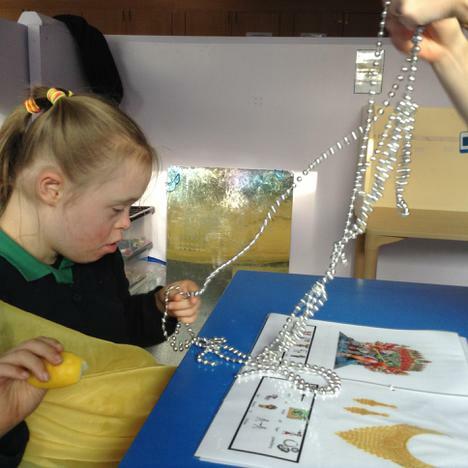 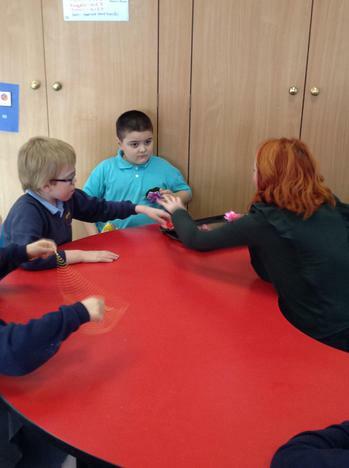 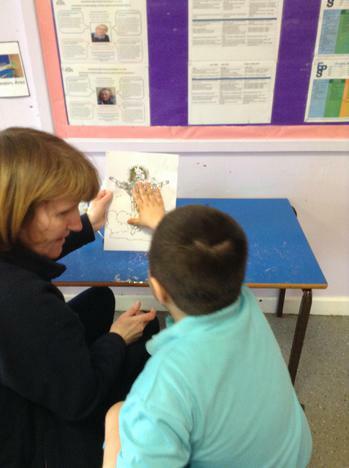 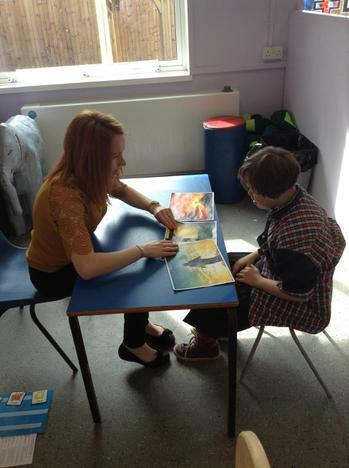 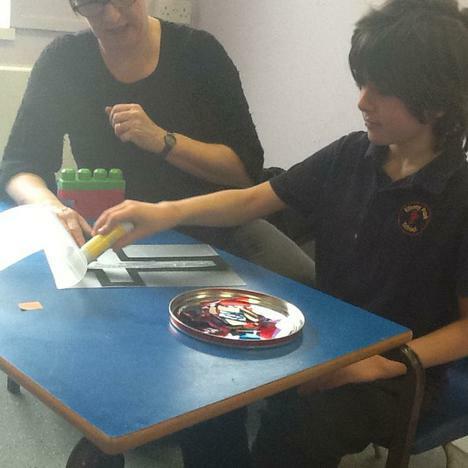 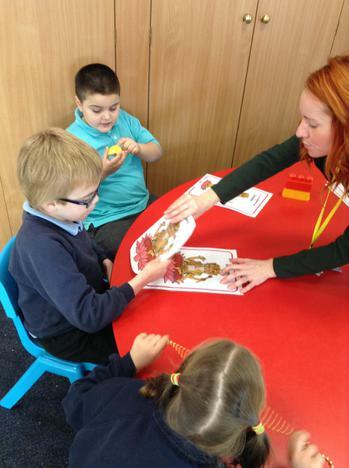 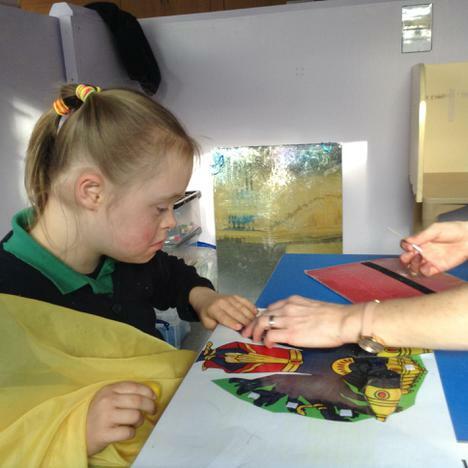 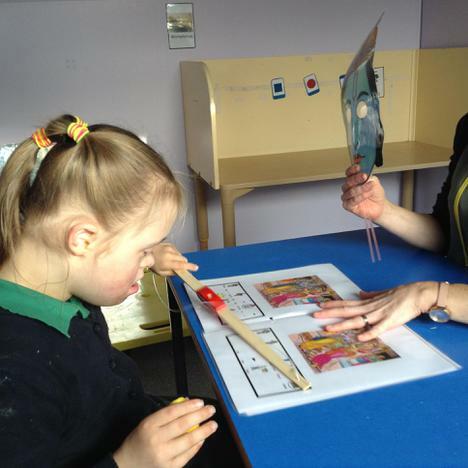 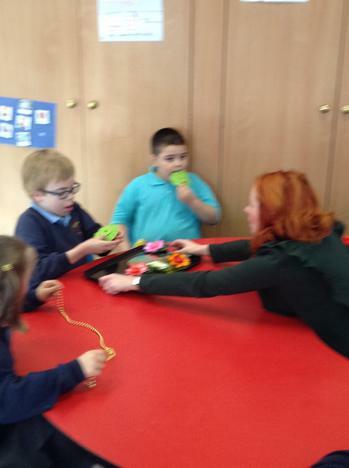 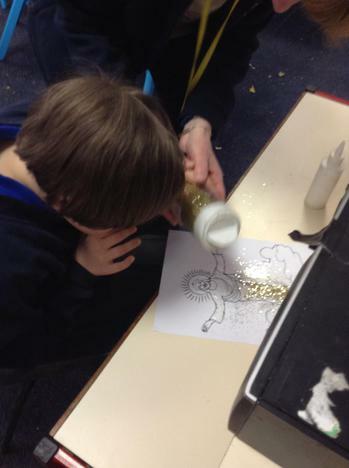 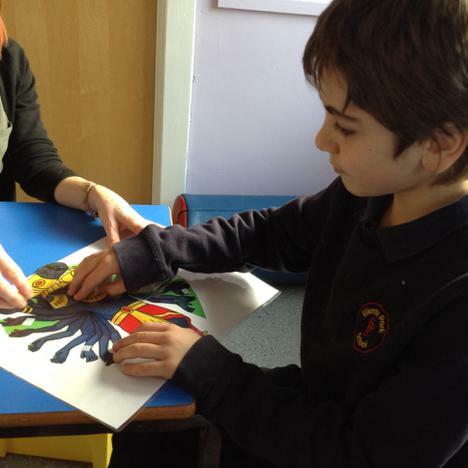 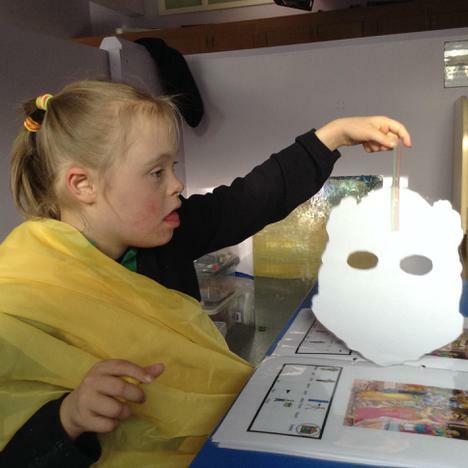 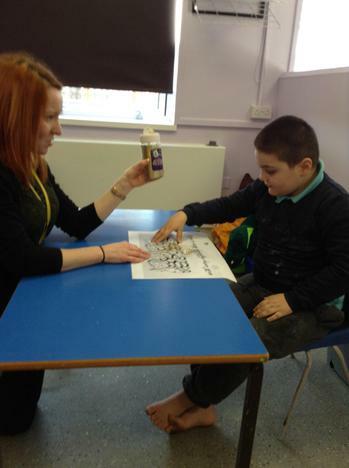 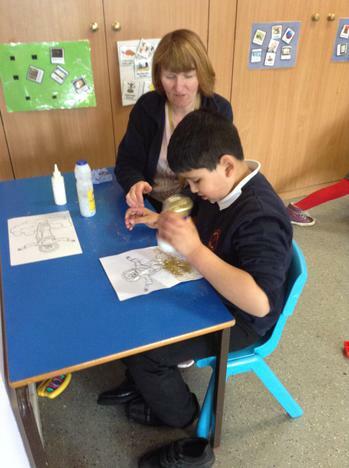 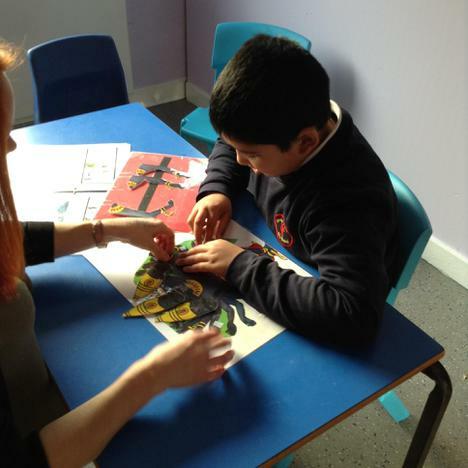 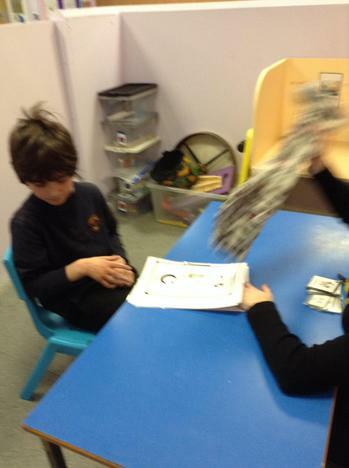 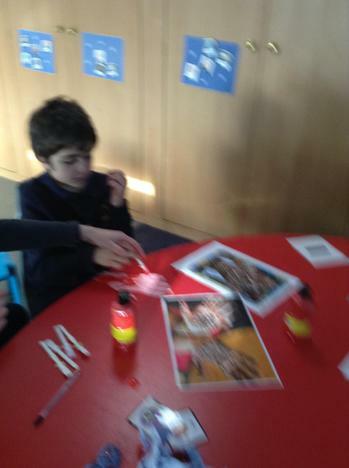 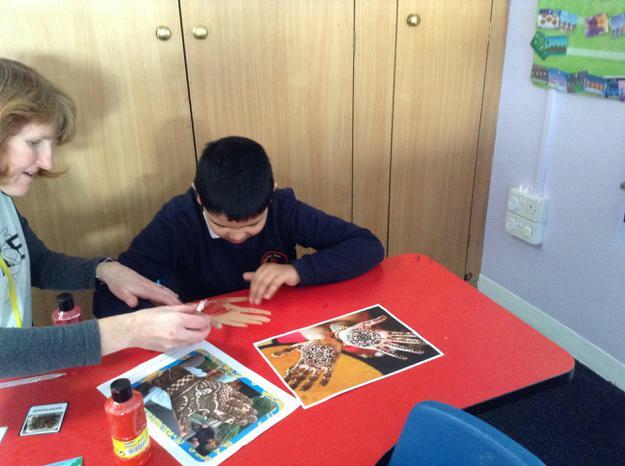 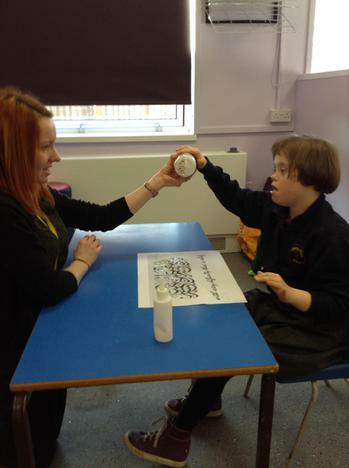 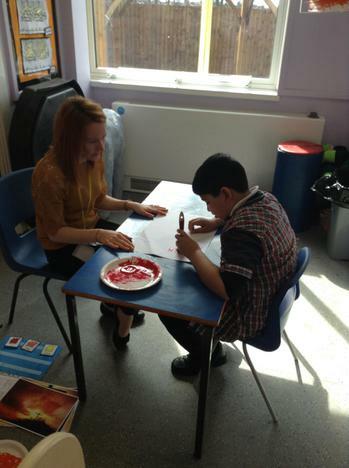 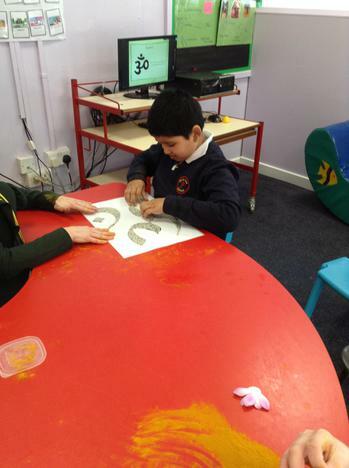 We also made special pictures by decorating Islamic scripts with gold glitter. 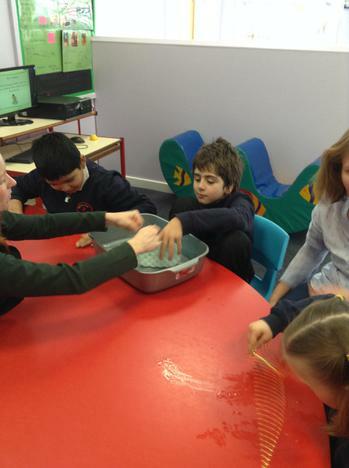 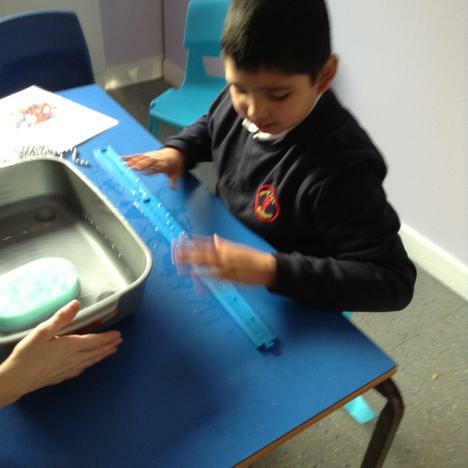 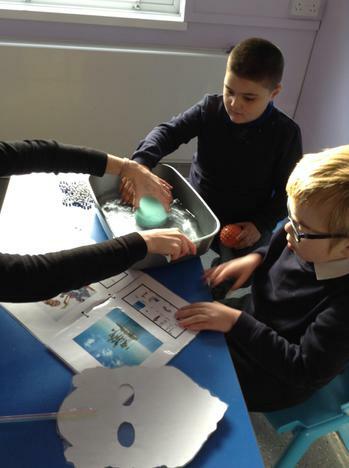 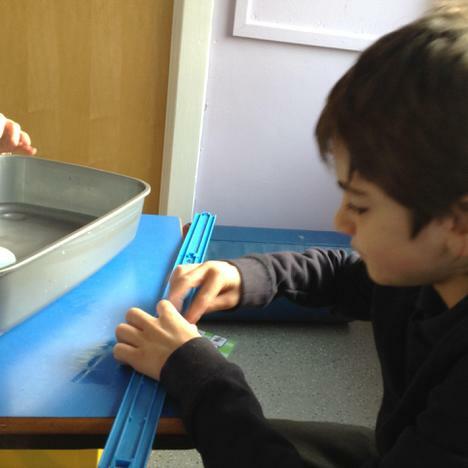 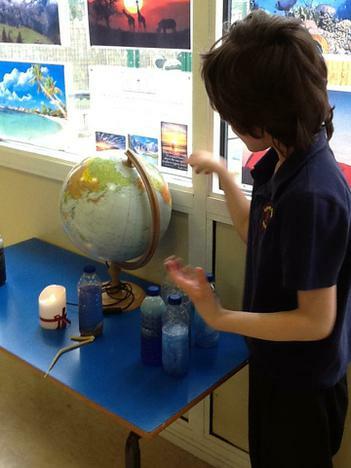 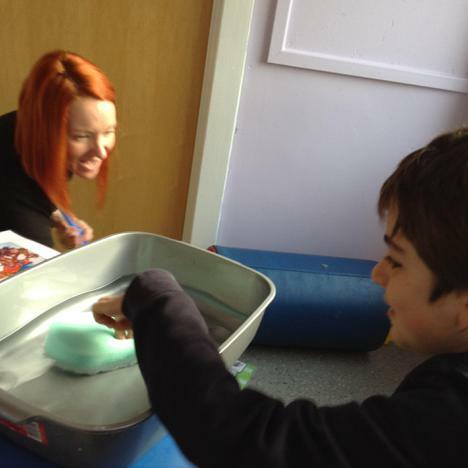 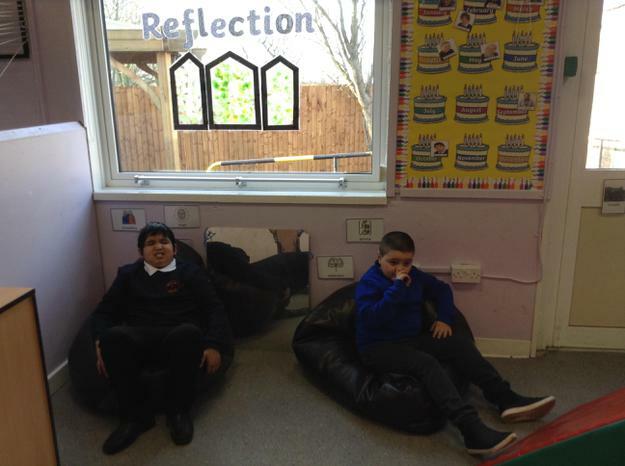 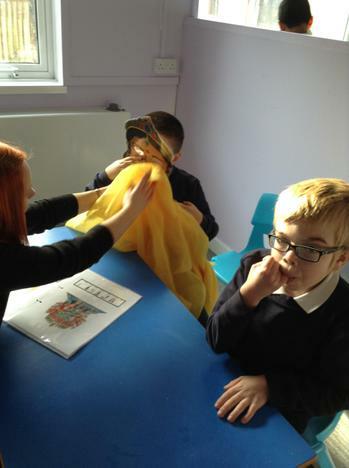 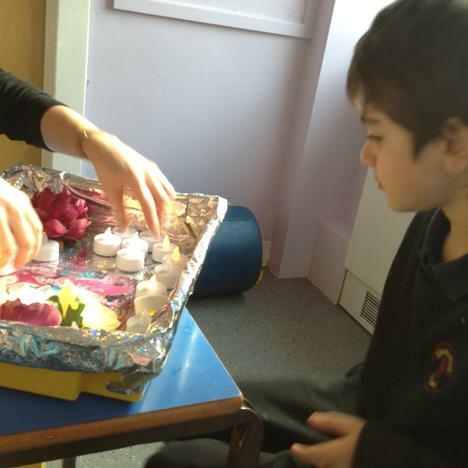 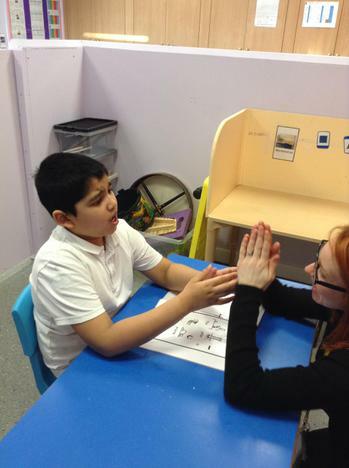 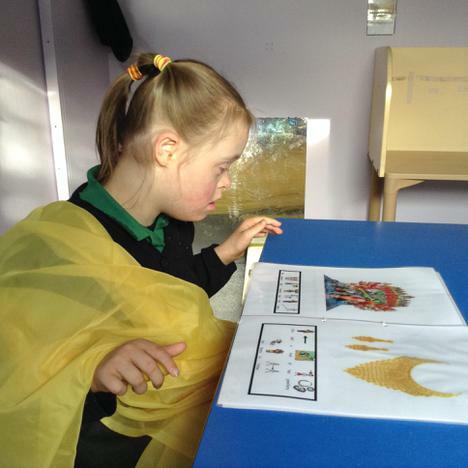 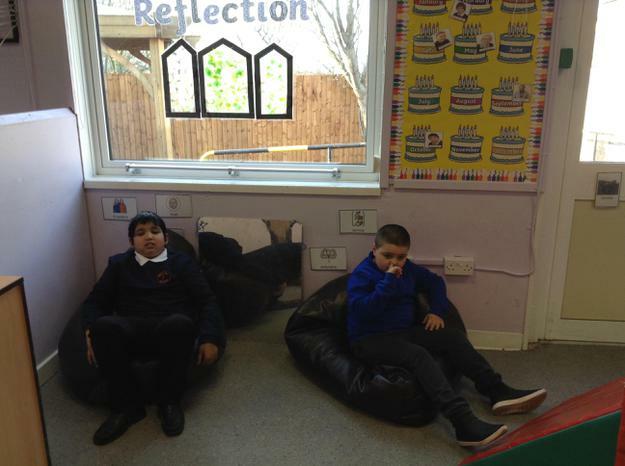 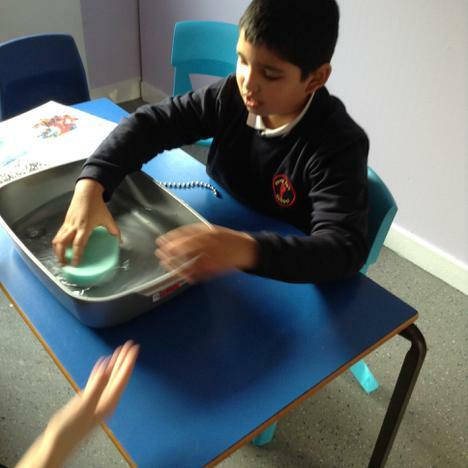 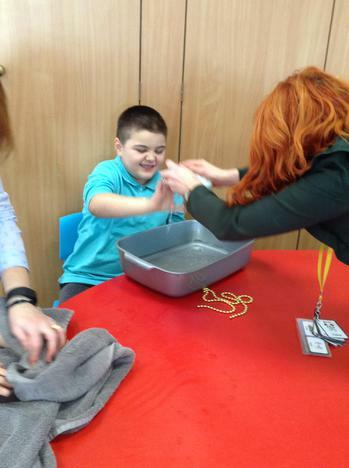 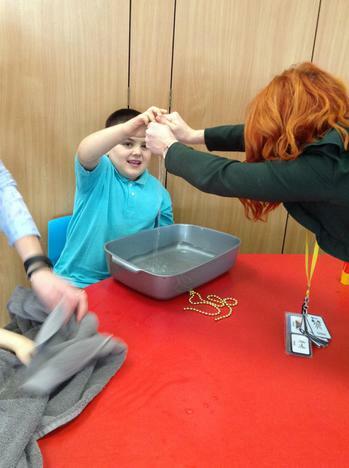 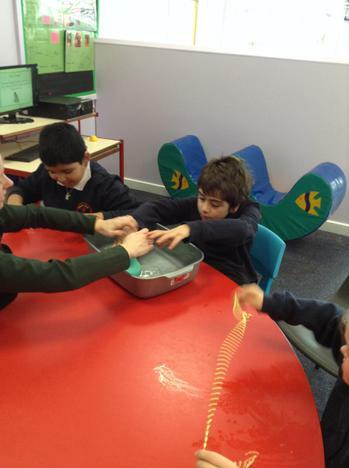 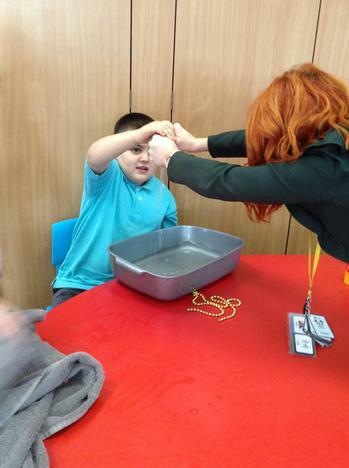 In Aqua class we experience and learn about different world religions through our senses and by learning about the core values of each religion in a way that is relevant and meaningful to us. 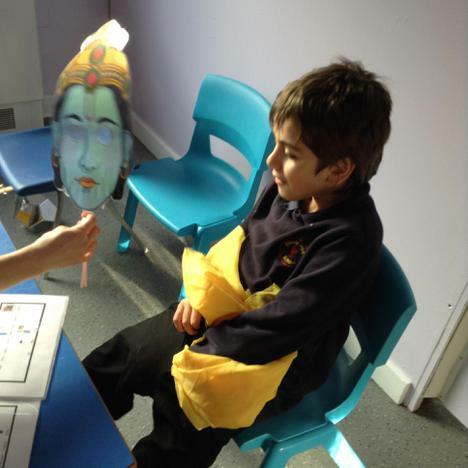 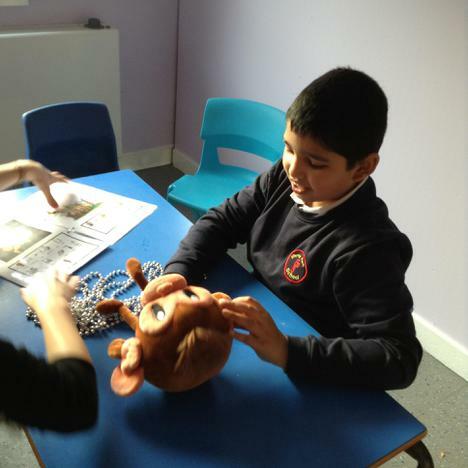 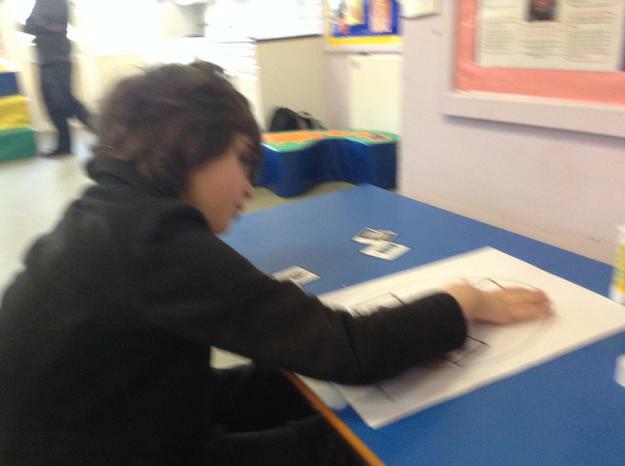 So far this term in RE we have been learning about Hinduism. 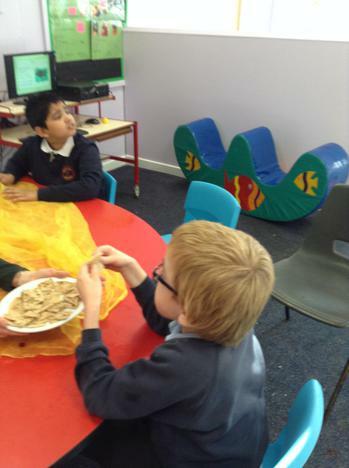 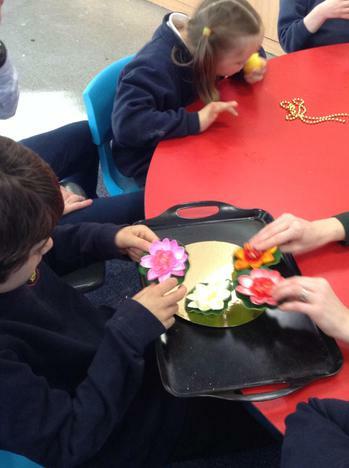 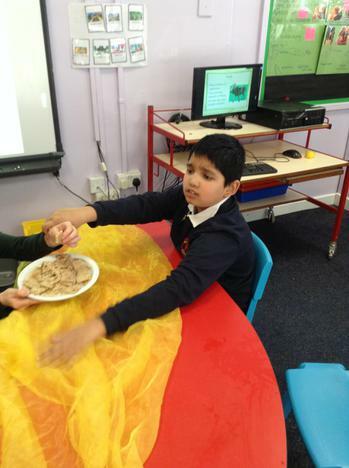 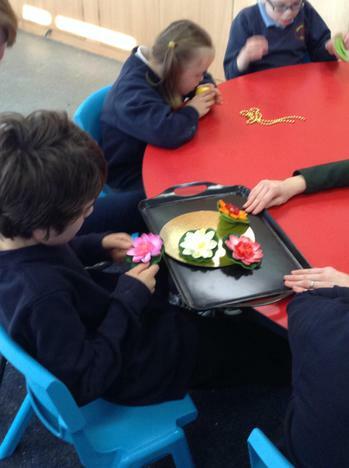 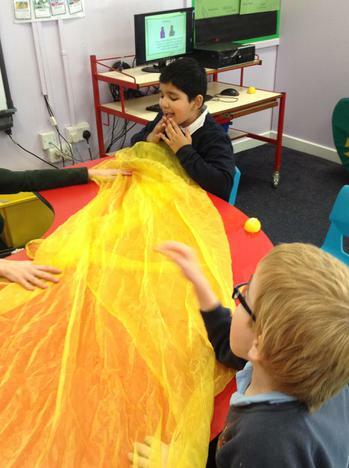 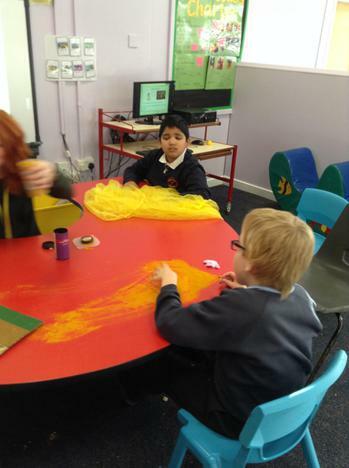 We began our learning with the festival of Diwali through the story of Rama and Sita. 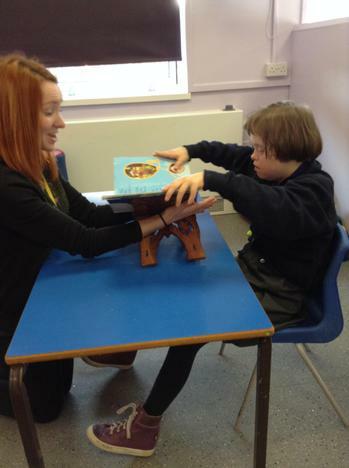 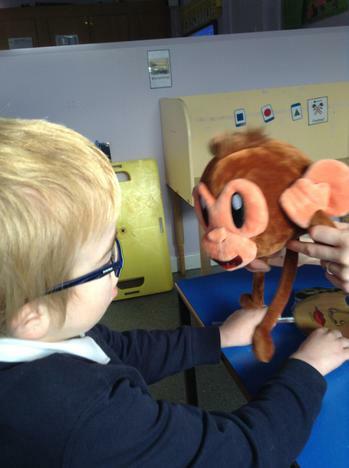 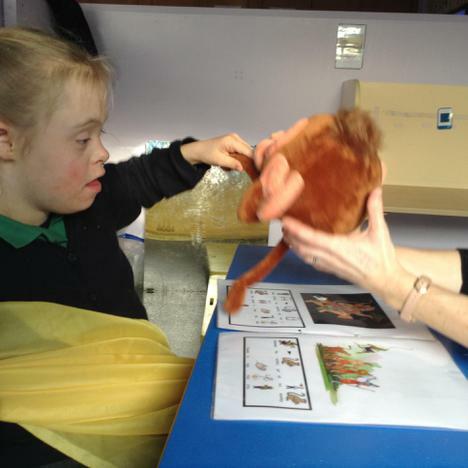 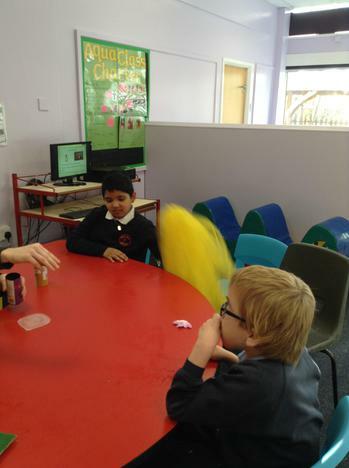 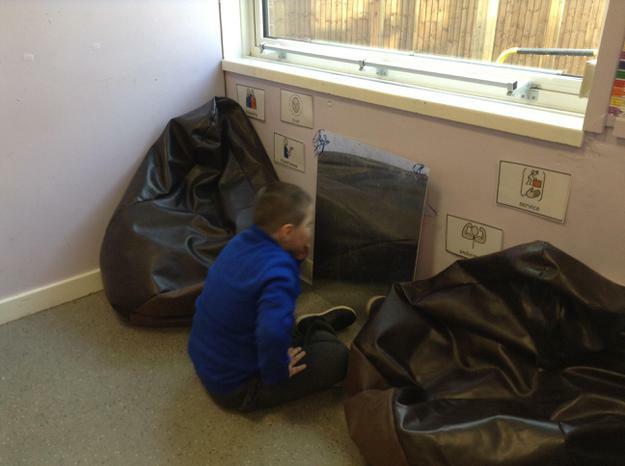 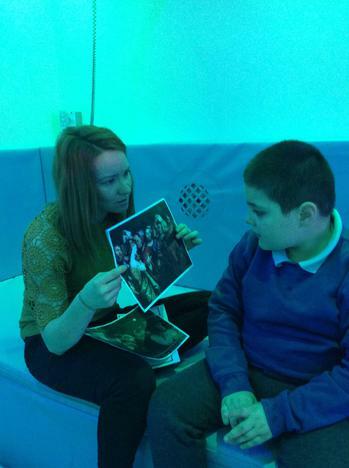 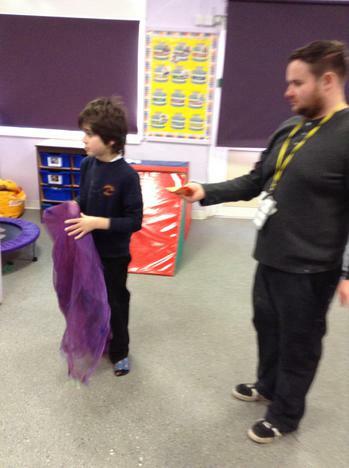 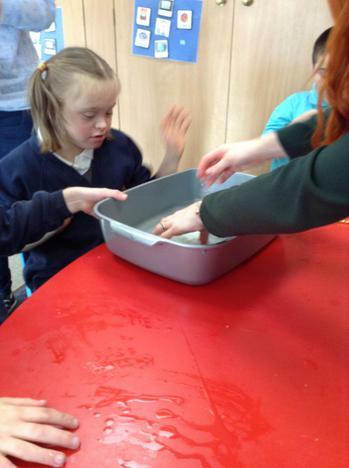 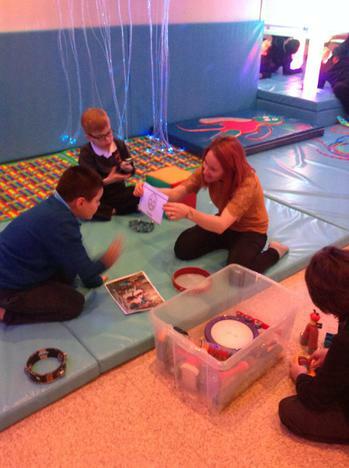 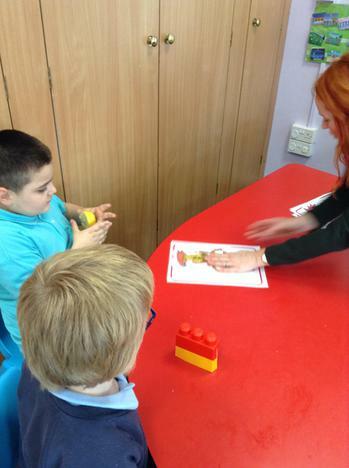 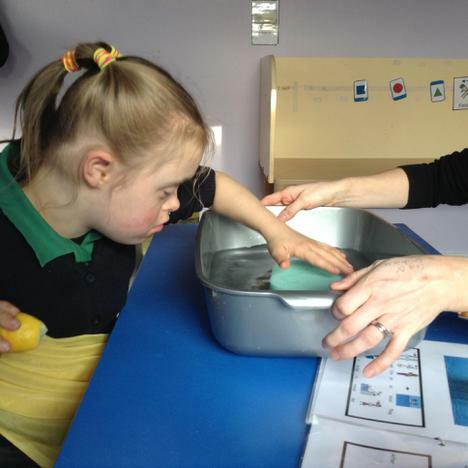 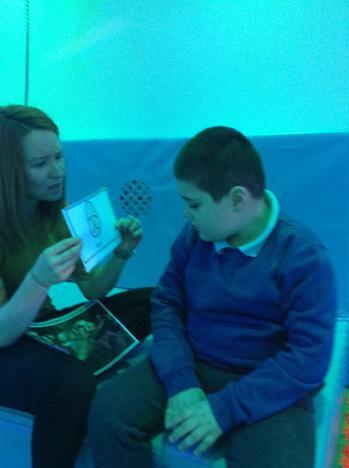 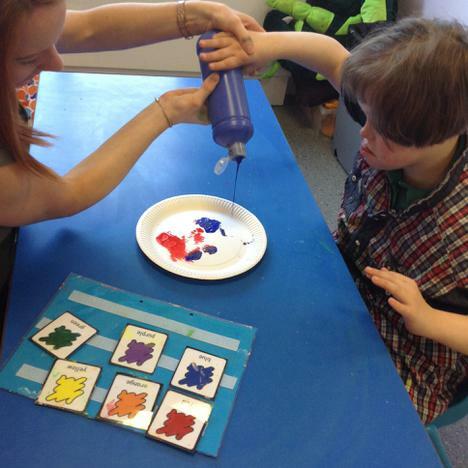 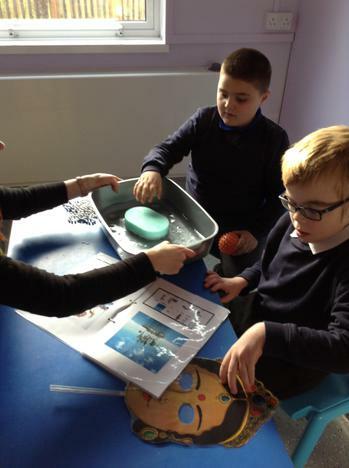 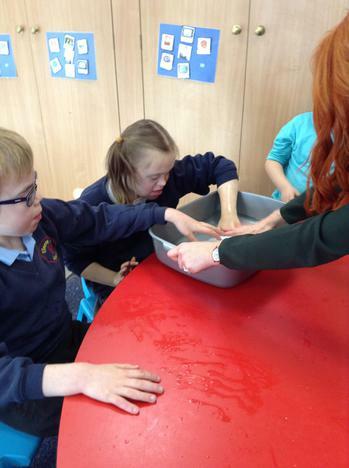 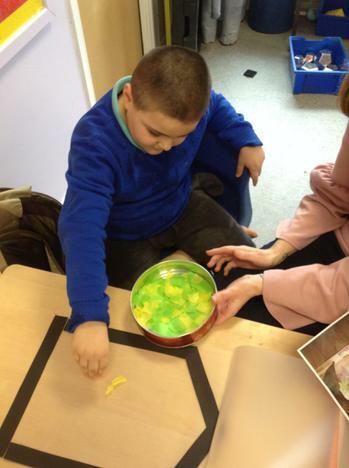 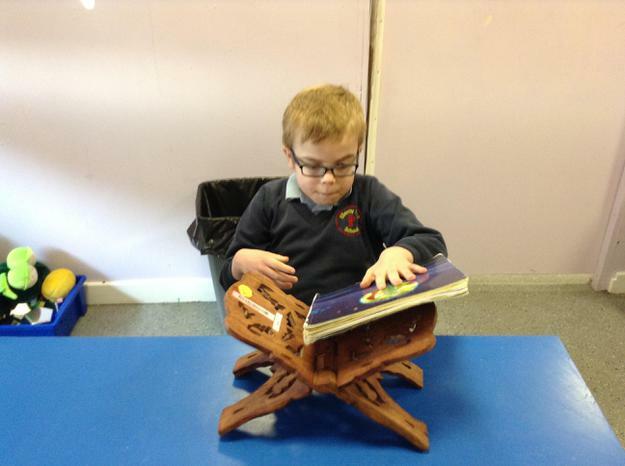 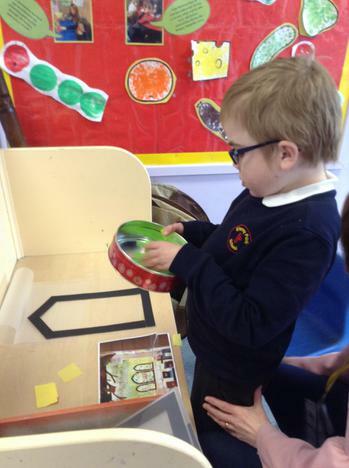 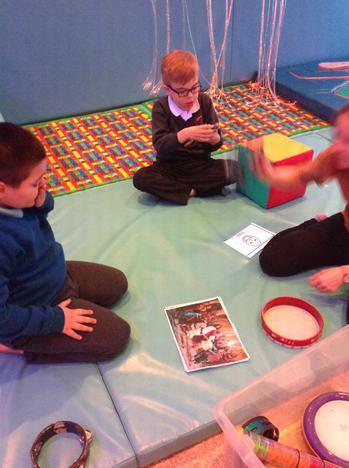 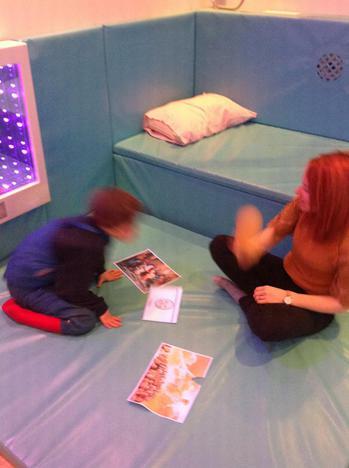 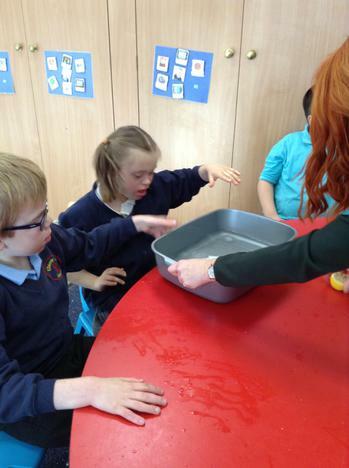 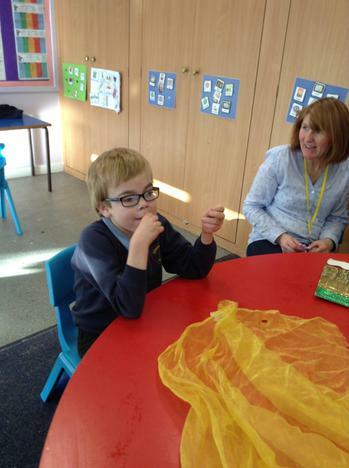 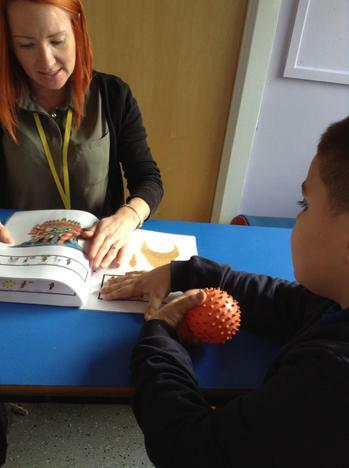 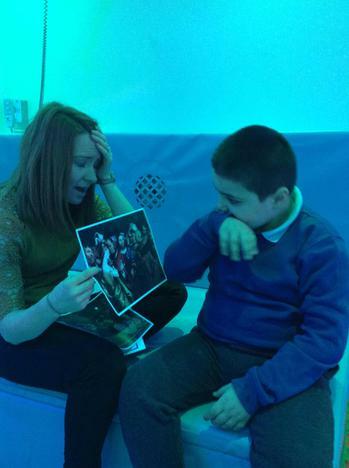 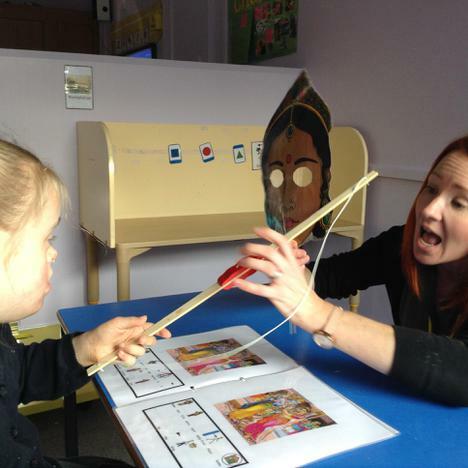 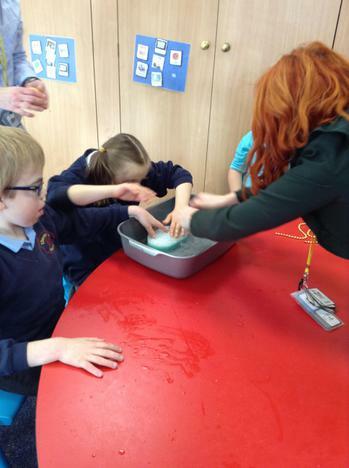 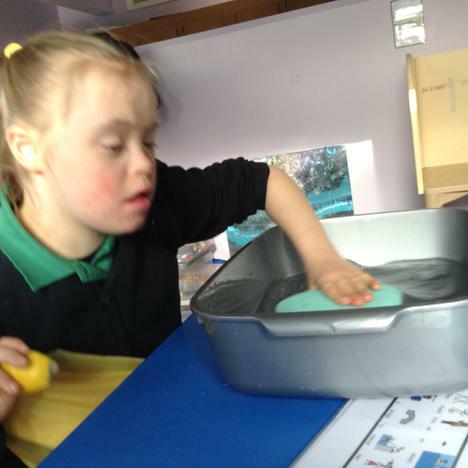 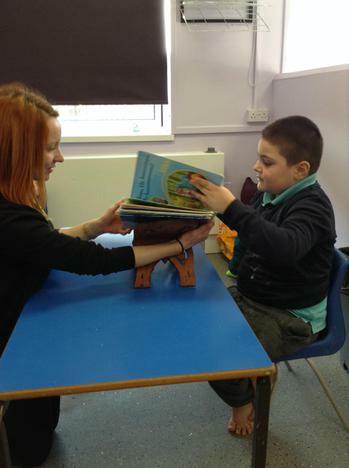 We were able to look at the pictures in the book and interact with the sensory props. 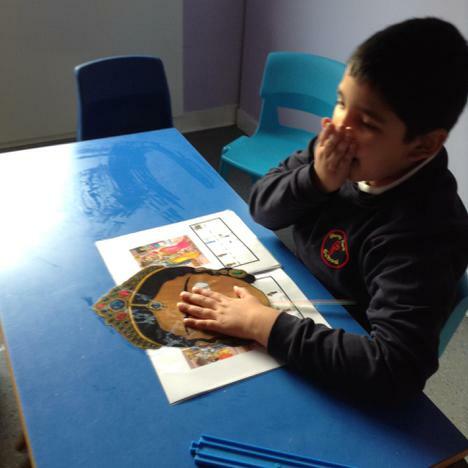 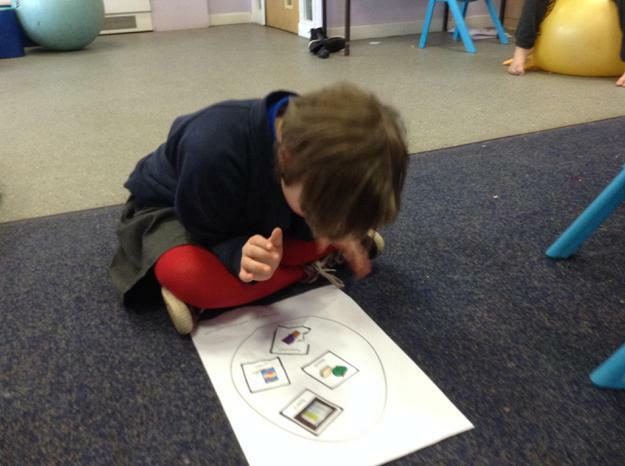 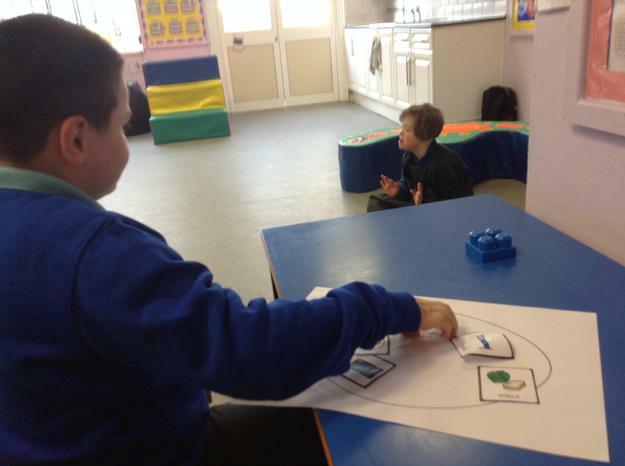 Some of us were then able to answer simple questions about the story using symbols. 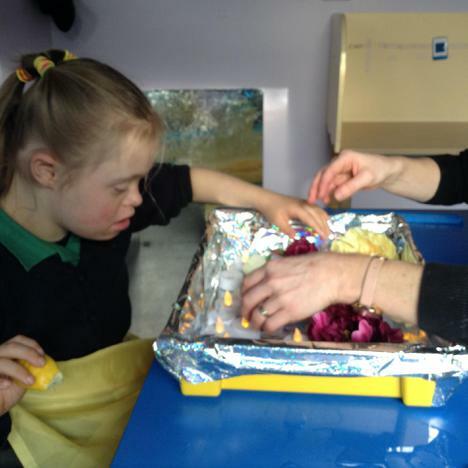 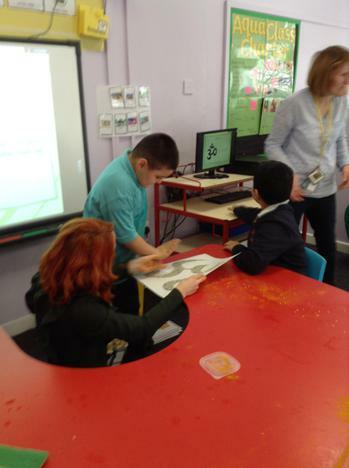 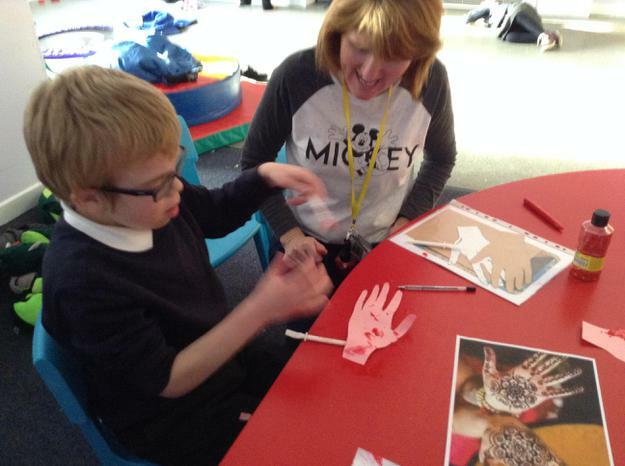 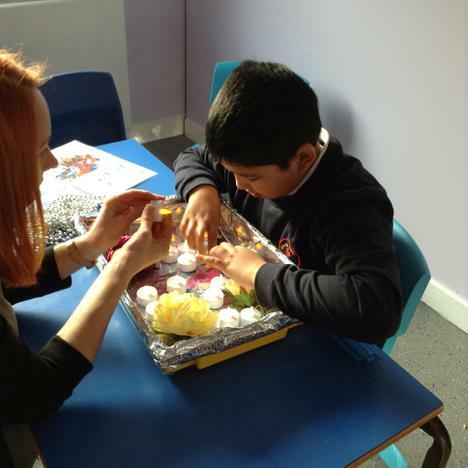 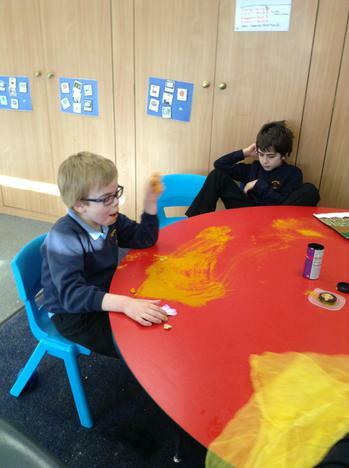 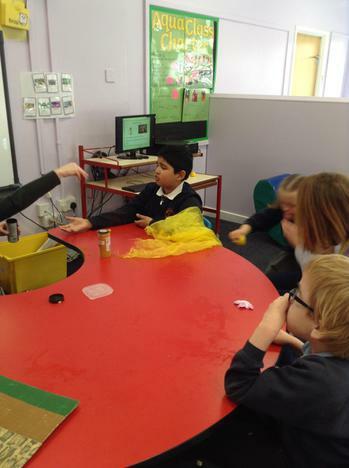 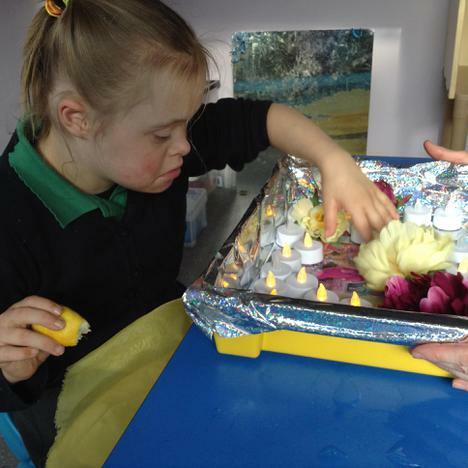 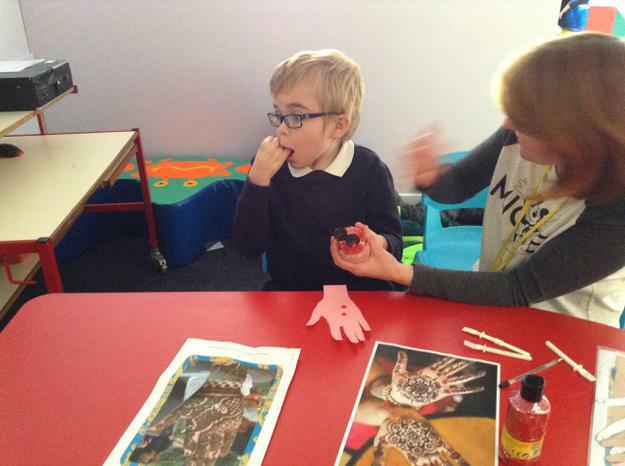 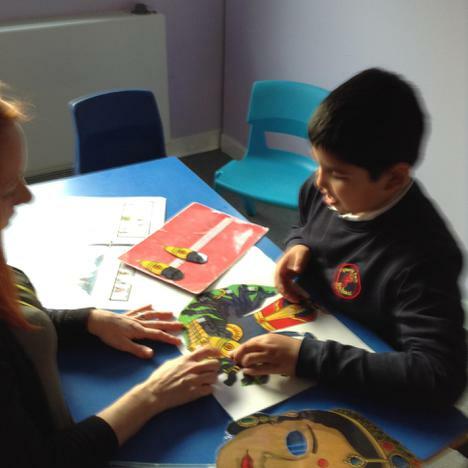 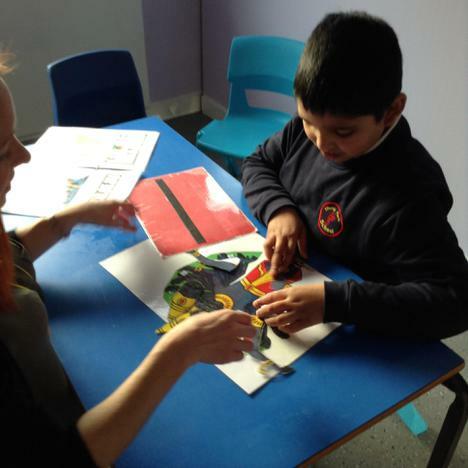 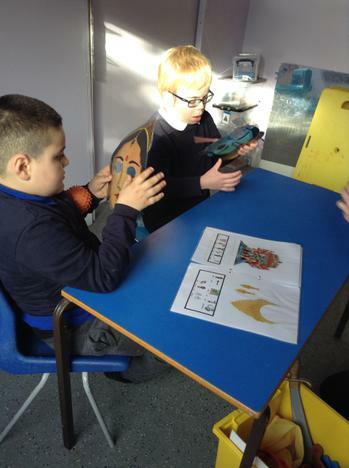 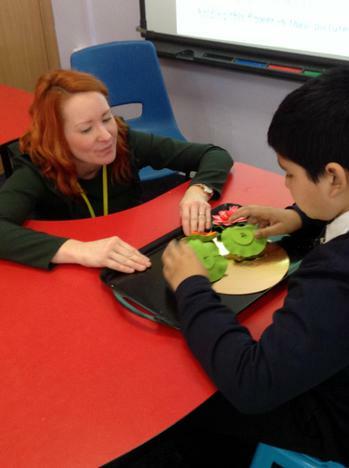 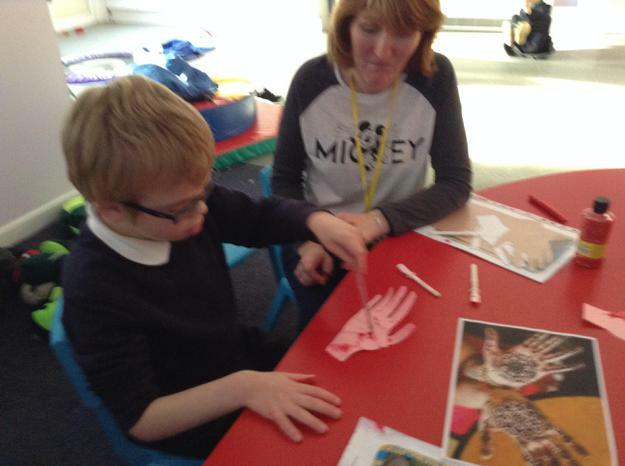 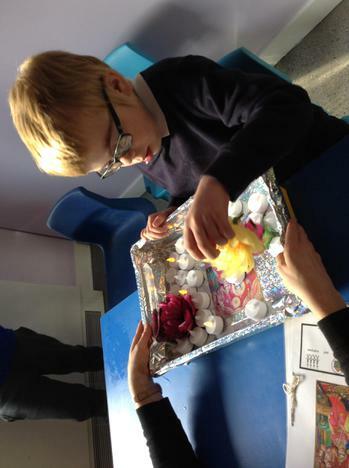 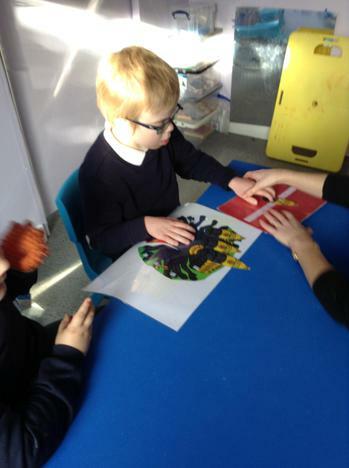 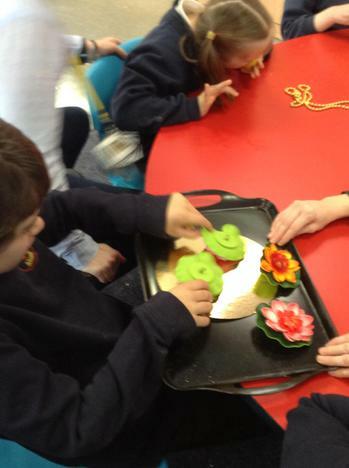 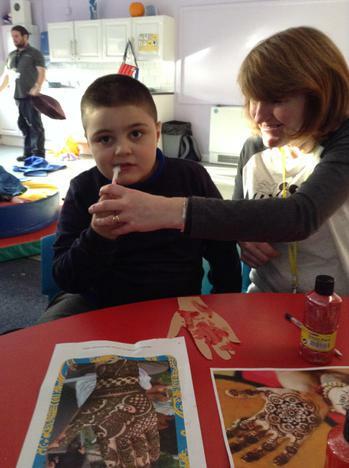 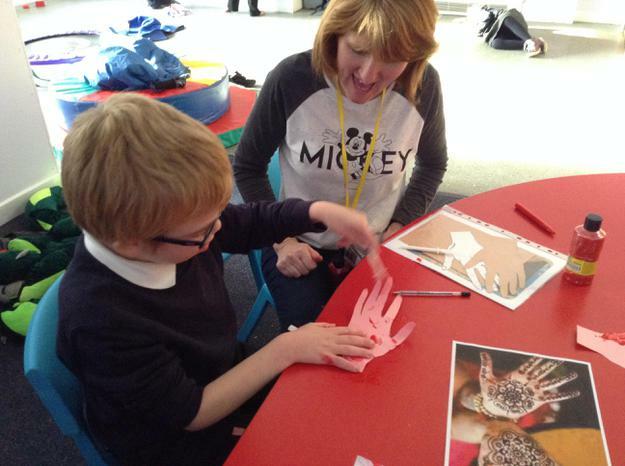 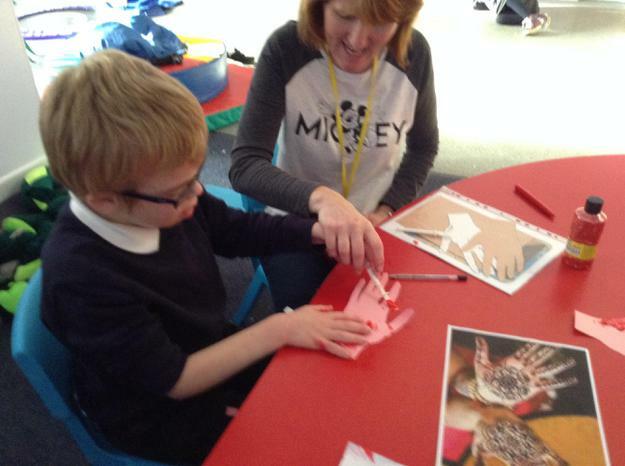 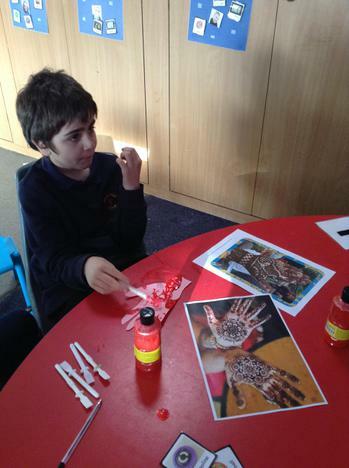 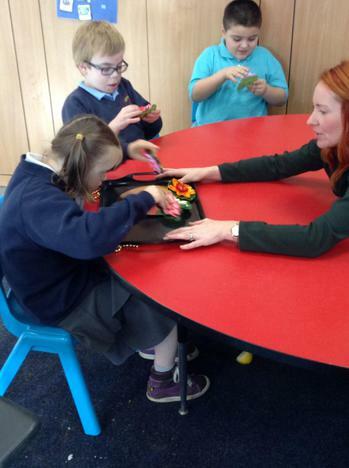 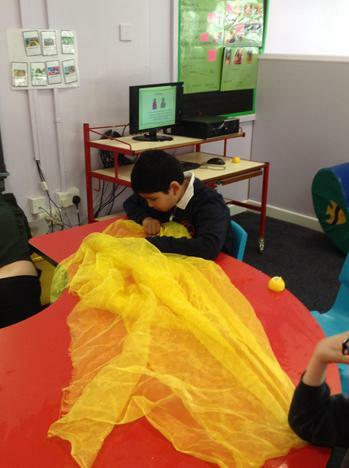 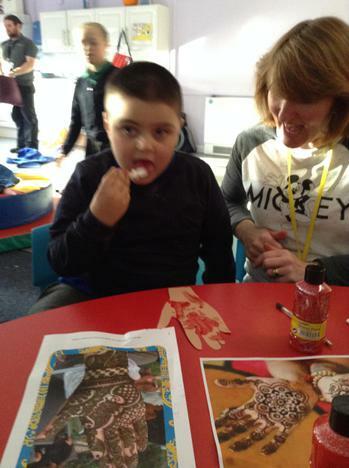 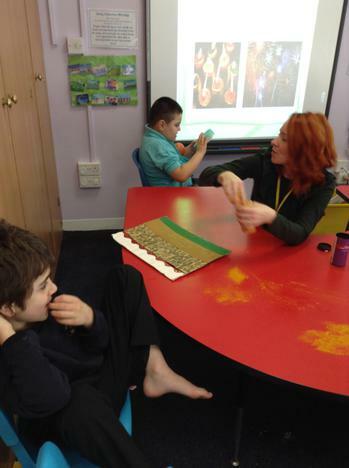 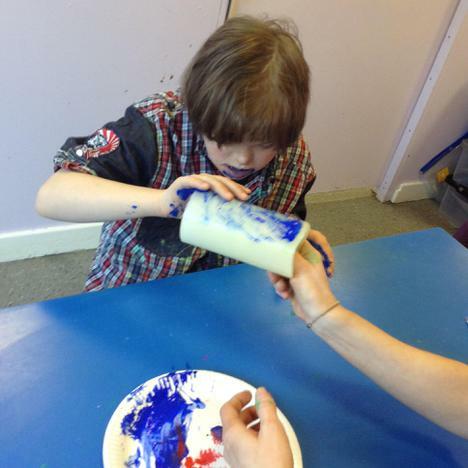 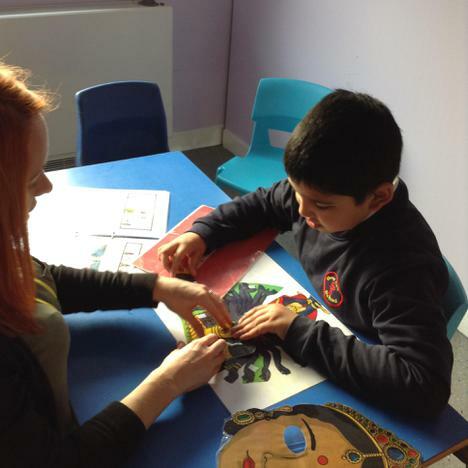 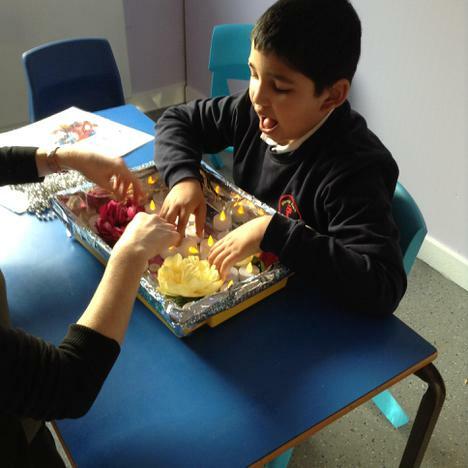 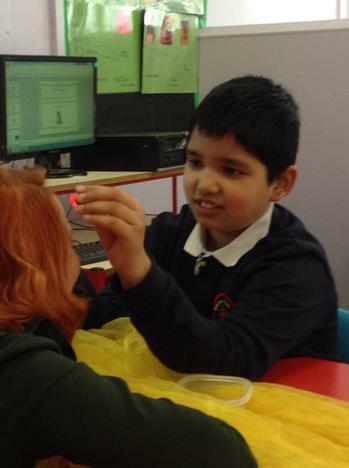 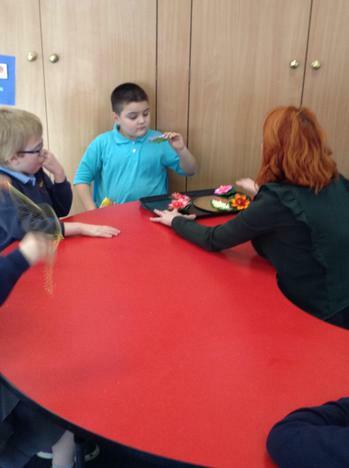 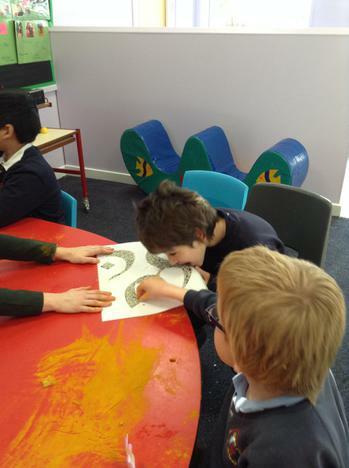 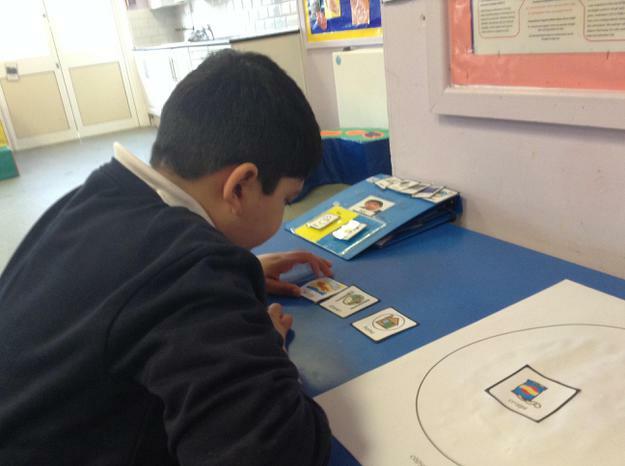 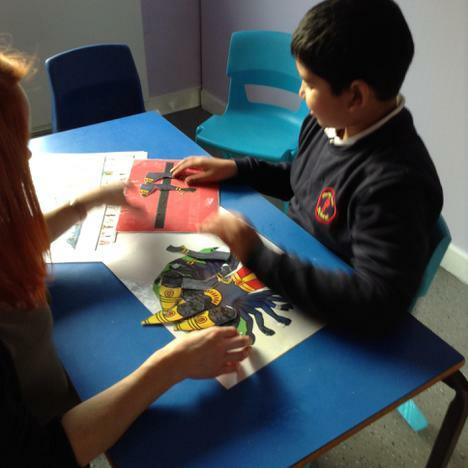 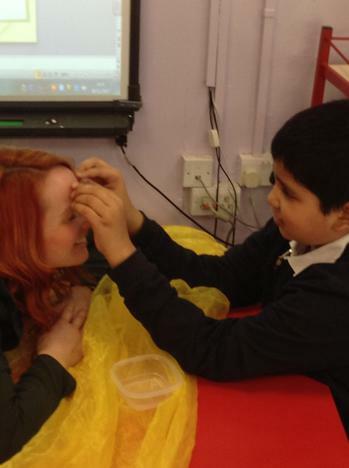 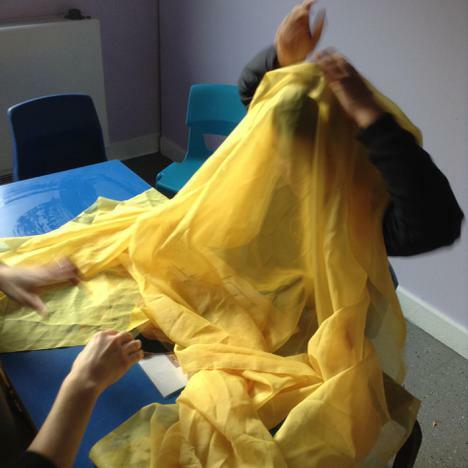 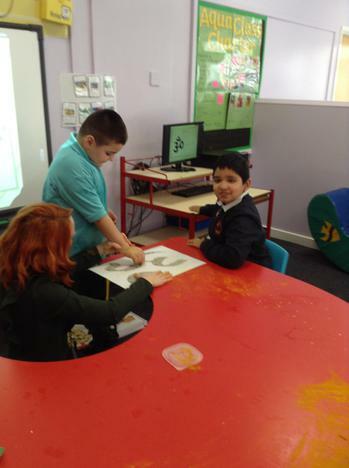 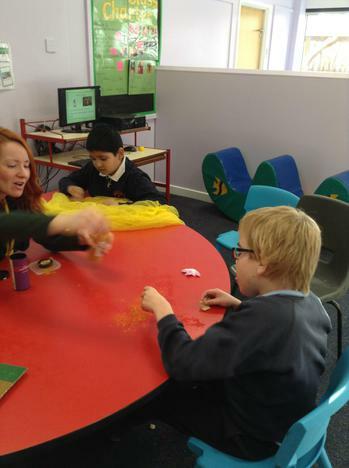 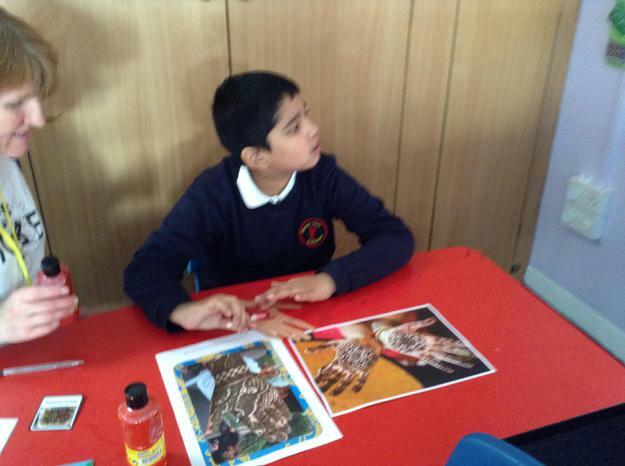 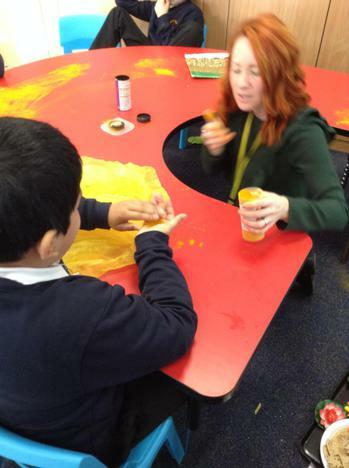 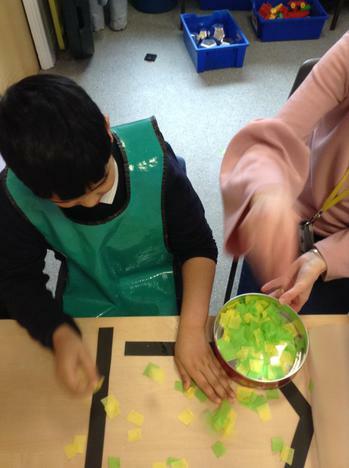 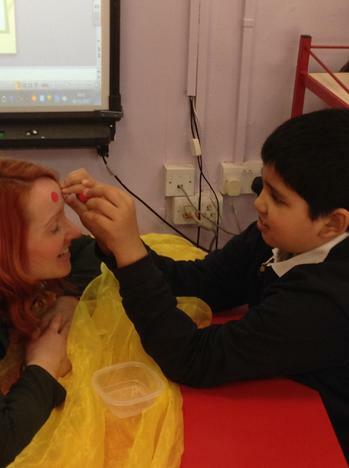 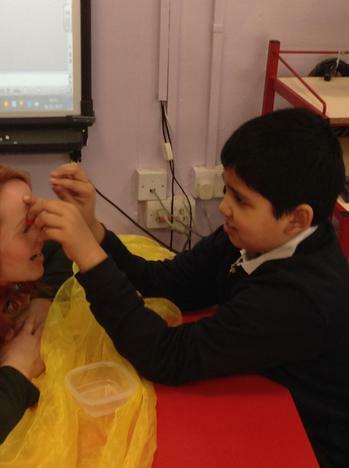 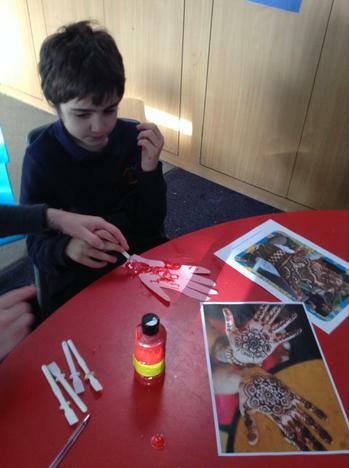 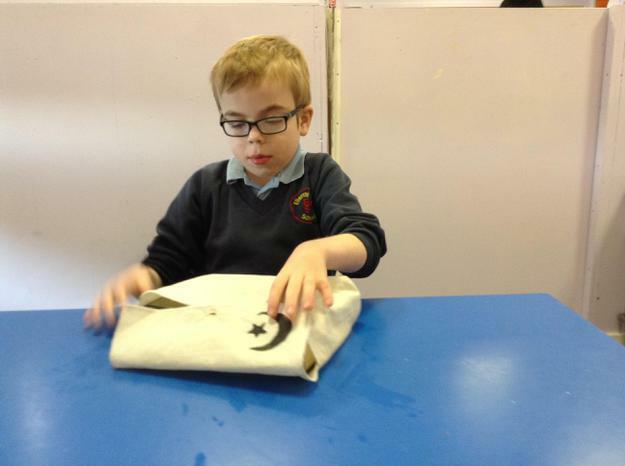 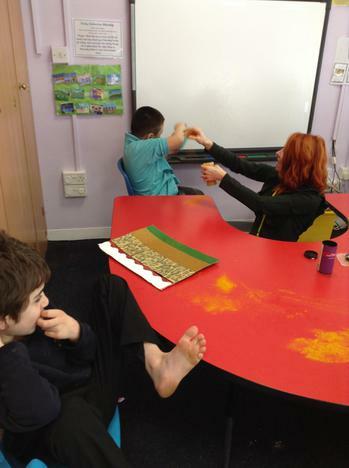 We have also enjoyed exploring Hinduism through important symbols and artefacts such as the lotus flower, the Hindu Gods, prayer chants, Hindu music and through creative art work such as Mehndi hand patterns and rangoli patterns using coloured rice and glue.